Mike Petrusky shares big news about the show! Mike Petrusky continues to reflect on what he has learned on Part 2 of this series! The workplace is evolving rapidly and we are not just dealing with simple changes, but transformational ones, so we must be in the business of rethinking the ways we care for the built environment. We know that technology is advancing incredibly fast and cultural shifts are significant, so FM professionals must focus on building a true culture of collaboration and creating trusted partnerships in order to succeed now and into the future. Mike Petrusky launched this podcast in the fall of 2016 with little understanding of where the show might go & who would be listening. Now, just a year and a half and over 80 episodes later, with thousands of monthly downloads from around the world, Mike reflects on what he has learned & the amazing adventure this podcast journey has been! The workplace is evolving rapidly & we are not just dealing with simple changes, but transformational ones, so we must be in the business of rethinking the ways we care for the built environment. 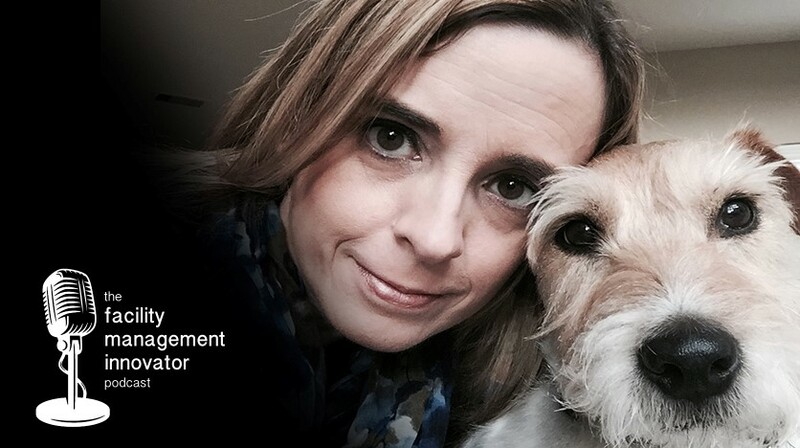 Celeste McLane is Strategic Account Manager at CORT where she serves the FM community with her understanding of workplace trends, space planning and space optimization. Mike Petrusky asks Celeste about the importance of building relationships and industry partnerships at the Capital Chapter of IFMA. As we see changes in the workplace, Celeste offers strategies for keeping pace with the needs of an agile workforce and how facility managers can help organizations create amazing employee experiences. 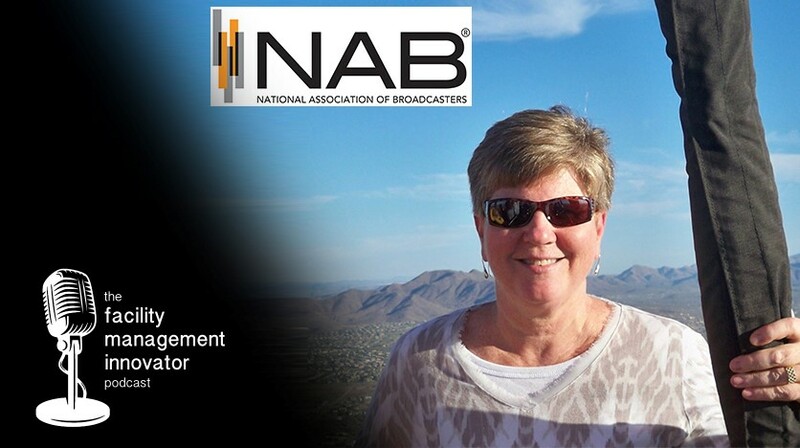 Sharon Kinsman, CFM is Senior Vice President of Facilities and Administration at the National Association of Broadcasters (NAB) where she has served for nearly four decades. Mike Petrusky had the chance to visit the current headquarters building of NAB to discuss the lessons that Sharon has learned which are helping to inform her interactions with both senior leadership and her FM team as they prepare to build and move to a new HQ facility. Javier J. Maldonado, MBA, CFM, RPA® is Campus Operations & Construction Director for VF Outdoor, the home of JanSport and The North Face. Mike Petrusky asks Javier about his passion for creating exceptional workplace experiences and how he leads his team to deliver great customer service to end-users. He tells stories from the VF campus about how the company encourages employees to "live your brand" and offers motivational employee engagement. 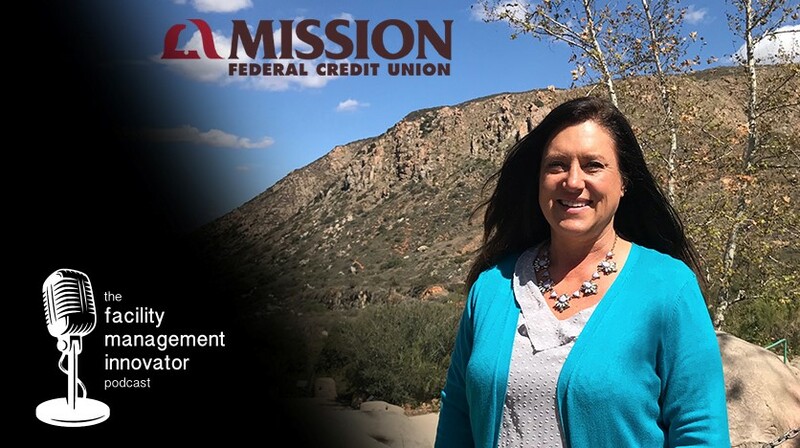 Lisa Chappell is Vice President of Corporate Facilities at Mission Federal Credit Union in San Diego, and on this episode of the podcast, she offers us motivation for communicating with our teams. Mike Petrusky asks Lisa about her work with IFMA and she shares how team building works best when we develop deep relationships with people as a part of the process. Lisa believes that FMs must seek mentorships and education to focus on contributing to their organization’s success. 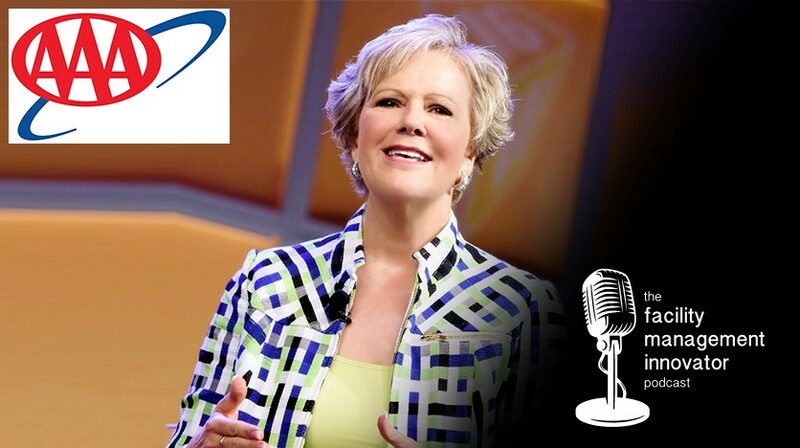 Sue Thompson, CFM is a facilities professional at AAA Club Alliance/Mid-Atlantic Region, a dynamic presenter, and a life lessons expert who shares amazing inspiration on this episode of the podcast. Mike Petrusky asks Sue about her leadership philosophy and how she motivates her FM team to best serve the people inside of their organization. Sue has spoken to audiences across the country and she discusses some great resources to help us discover our strengths. 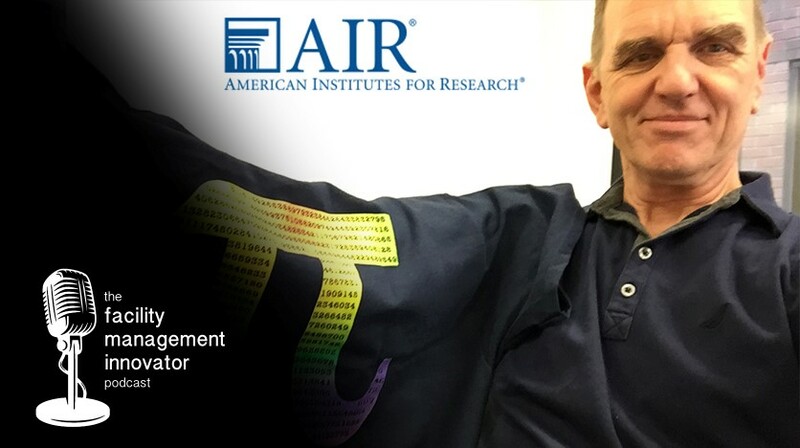 R. Case Runolfson, CFM is Senior Director of the Facility Management Department at American Institutes for Research (AIR) where he leads his team of FM professionals with a deep understanding about the human factors that are essential when delivering services in today’s workplace. Mike Petrusky asks Case about how he encourages his colleagues to constantly build knowledge with an understanding that it is the application of information that is the key to our success. 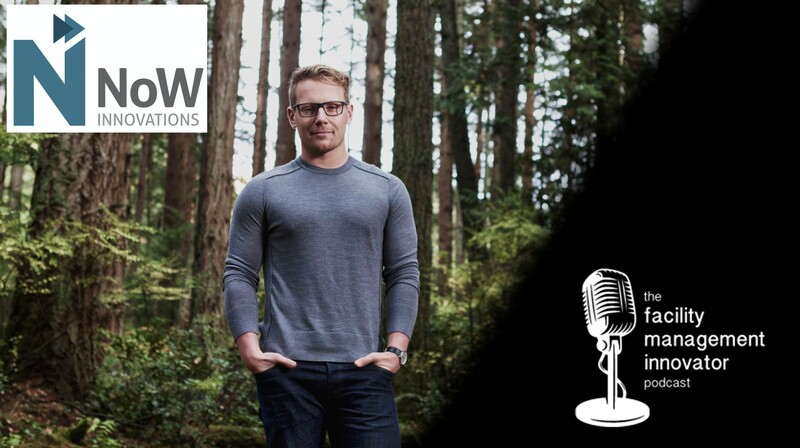 Jade Alberts is a workplace strategist and entrepreneurial business owner at Jade Alberts Consulting where he helps clients with their business strategy, brand development, and other marketing needs. Mike Petrusky asks Jade about his work at IFMA’s Workplace Evolutionaries (WE) Community and he shares what makes it such a special group of industry thought-leaders. 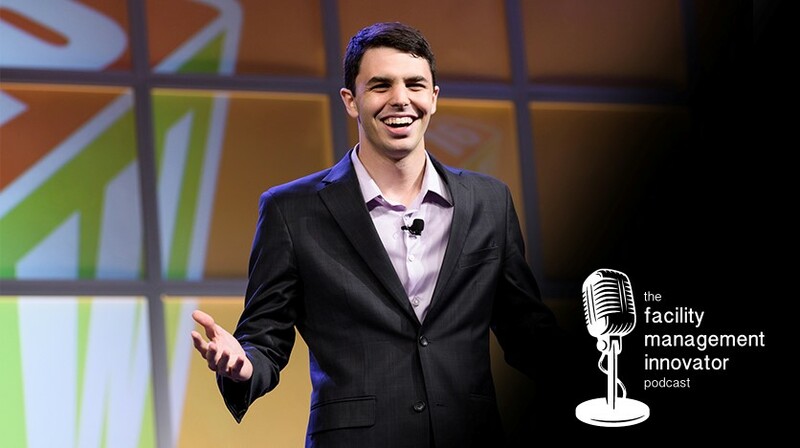 Jade inspires the audience with original motivational quotes & stories about his interesting career. Eric Termuende is Co-founder of NoW Innovations Canada, an international speaker, and bestselling author of the book “Rethink Work”. Mike Petrusky asks Eric about his mission to change the way we talk about work and his thoughts on the role that facility managers might play in the workplace of the future. Eric and Mike share a similar philosophy about the importance of real human connections and the value of finding a sense of belonging in our workplace communities. Mayra Portalatin, RS, SFP is a Senior Professional at Facility Engineering Associates and President-Elect of The Capital Chapter of IFMA with a passion for elevating the FM community. 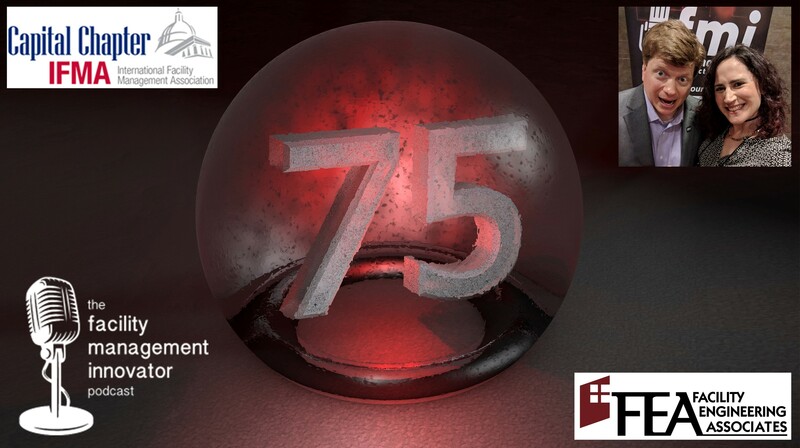 Mayra returns to the show to help Mike Petrusky celebrate another amazing podcast milestone - our 75th episode! They talk about the human side of facility management and offer inspiration and motivation to the “FM Innovator Nation”. Jimmy Gonsalves, CFM, SFP is an FM professional with the San Diego Unified School District while he also serves as President of IFMA’s Academic Facilities Council. Mike Petrusky asks Jimmy about the special responsibilities & unique challenges facing FMs in academic settings. They discuss timeless wisdom about human nature and why facility managers must have an intuitive connection with their environment in order to best serve the occupants of their facilities. 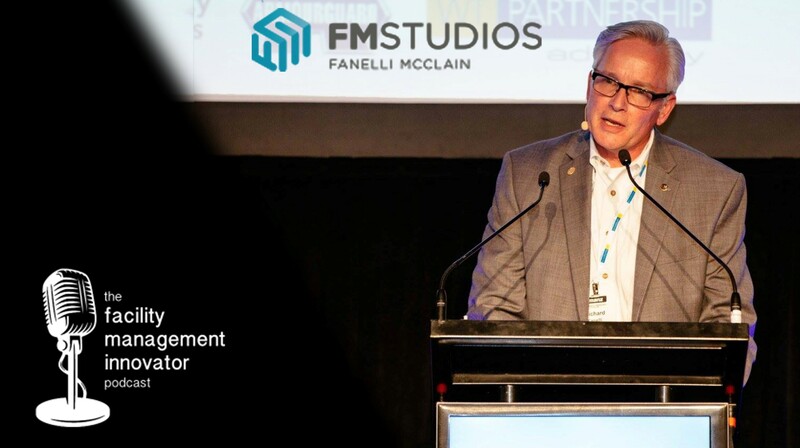 Rich Fanelli, IFMA Fellow, is President/Principal at FM Studios (formerly Fanelli McClain, Inc.) where he has served the facility management community by offering interior architecture, facilities planning, and workplace design for over 40 years. Mike Petrusky asks Rich about his contributions to our FM community through teaching, sharing design expertise and his involvement at the Capital Chapter of IFMA. Rich believes that “form follows function” when designing interior projects. 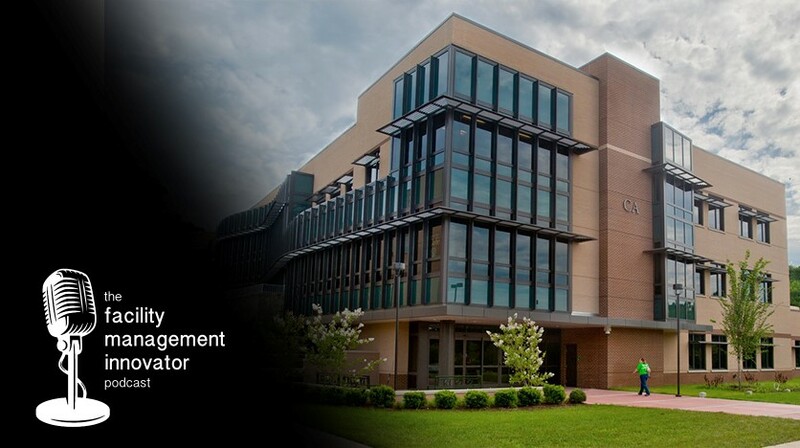 Dr. Roscoe Hightower is Centennial Eminent Scholar Professor and Chair for Facility Management and Marketing at Florida A&M University in Tallahassee, Florida. Mike Petrusky asks Roscoe to share how his services marketing background informs his philosophy on facility management higher education, while he works to increase awareness of the profession and helps to make FM a career of choice. Roscoe also shares wisdom from "The Art of War" by General Sun Tzu! 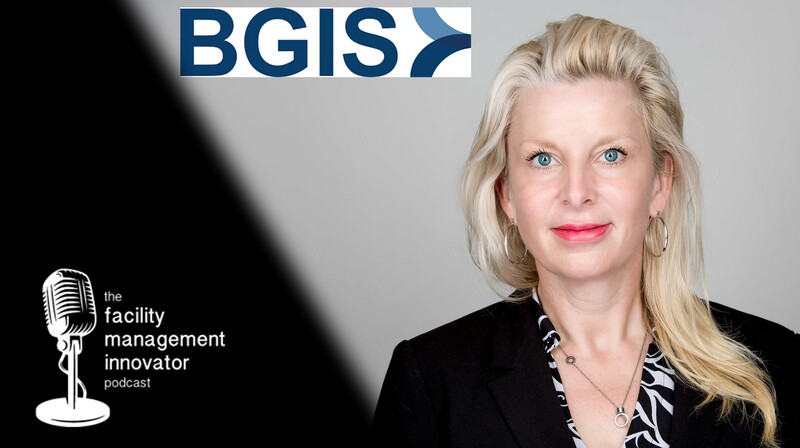 Lorri Rowlandson is Senior Vice President of Strategy and Innovation for BGIS, a leading provider of real estate management and facilities management services, where she leverages her experience and expertise to deliver "practical innovation" in the workplace. Mike Petrusky asks Lorri about disruptive technologies and the ways industry professionals can embrace change while incorporating new tools into their businesses. 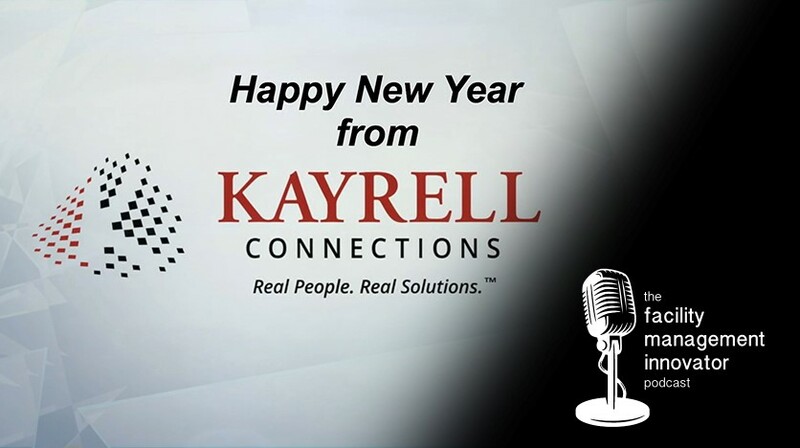 Happy New Year, FM Innovator Nation! 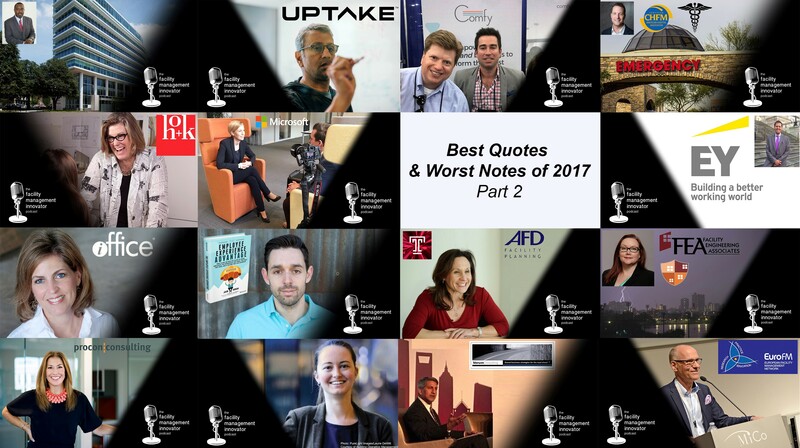 We’ll be back with more great new interviews starting next week, but for now, it's Part 2 of our podcast "year in review" featuring singing guests and great inspirational quotes from 2017. Highlights include inspiration and motivational quotes from Dexter Barrow, Kati Barklund, Alana Dunoff, FMP, IFMA Fellow, Peter Ankerstjerne, Maureen Roskoski, Vik Bangia, Jacob Morgan, Sonny Garg, Elizabeth Dukes, and Kay Sargent! Merry Christmas and Happy Holidays, FM Innovator Nation! We’ll be back with more great new interviews in early January, but for this week and next, let’s revisit some of the worst singing and best inspiration from the show over this past year. 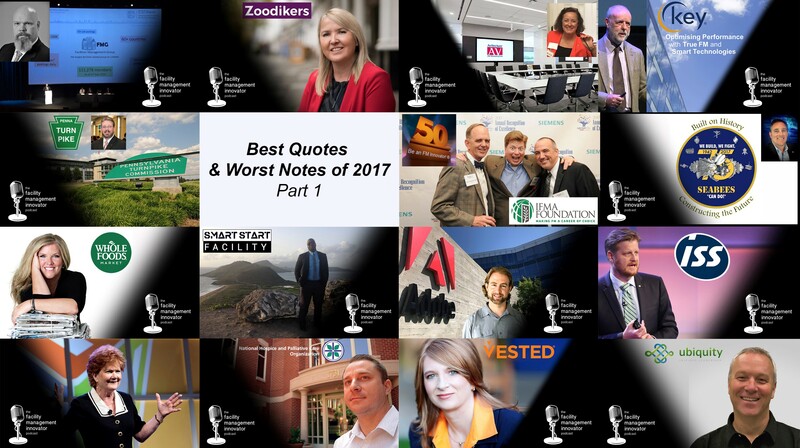 You will find highlights from throughout 2017 on this episode including some awesome motivational quotes from Ed Ehlers, Randall Niznick, Tyrel Melville, FMP, Jeremy Macdonald, Teena Shouse, CFM, IFMA Fellow, Kathy Loftus, and Terry Lipovski! Drew DePriest, CEM, LEED AP, WELL AP is an Account Executive at Comfy, a workplace experience app that helps to empower people to inform and control their workplace experiences through machine learning and data insights. For the first time ever, the FM innovator podcast needed to be re-recorded, so check out this “certified fresh” interview! Mike Petrusky asks Drew about workplace experience tools and the adoption of innovative FM technologies that can enhance facilities. 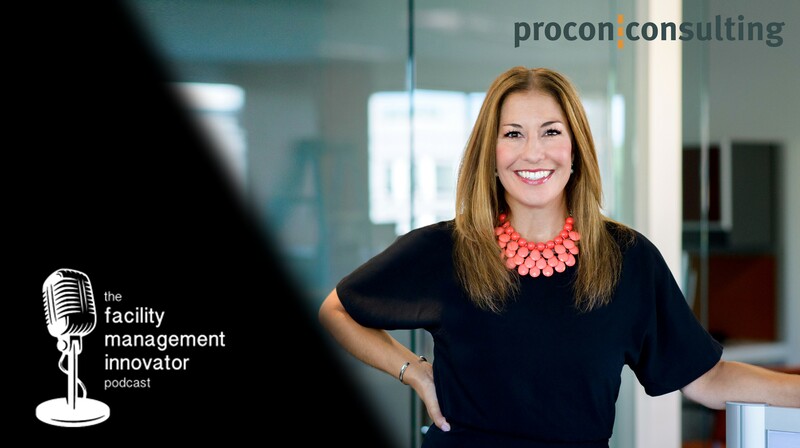 Renee Stratton, CID, LEED AP ID&C is Director of Space Management and Planning at Procon Consulting, LLC, where she advises clients on interior renovations and dealing with change in the workplace. Mike Petrusky talks with Renee about volunteering at IFMA and the networking fun, educational opportunities, and powerful partnerships that come as a result of years of committed involvement with a local Chapter. Renee discusses strategies for change management in real estate. 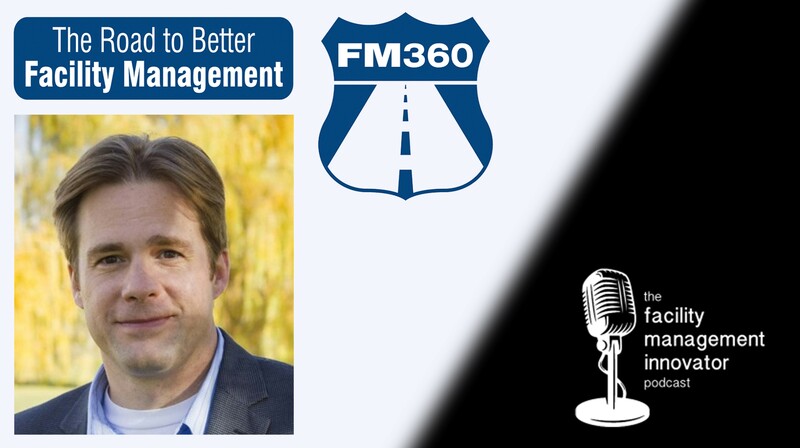 John Rimer, CFM is President at FM360 Facility Management Training & Consulting in Charlotte, NC where he is also an IFMA & BOC Qualified Instructor. Mike Petrusky asks John about his experiences in the FM world, common themes, and his take on FM technologies. John has coined the term “Facilitopia” referring to a workplace where facility professionals set the vision for the built environment, take a holistic approach, and have a strategic view of their FM department. 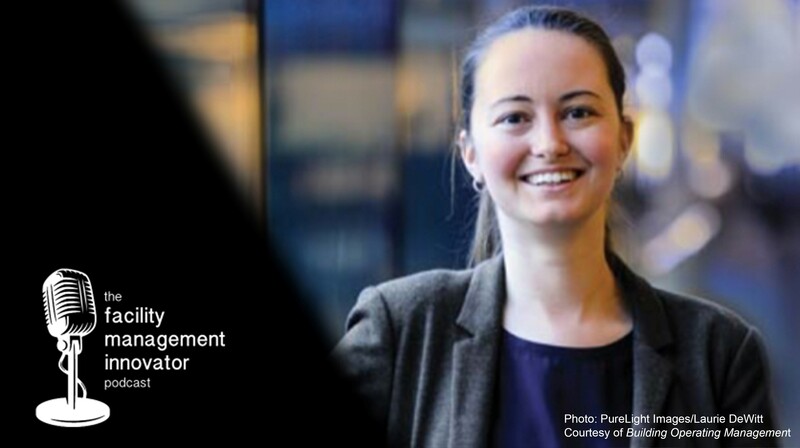 Caroline Horton, FMP is a Facilities Associate at a financial services company in New York City where she focuses on project management, new construction and office location moves among her other building management responsibilities. 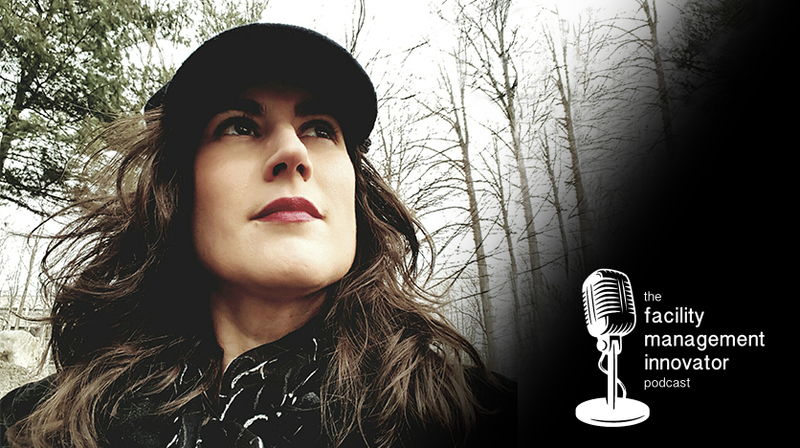 Mike Petrusky asks Caroline to share her FM story and we discover why she is passionate about the industry and pouring her knowledge and experience into up and coming FM students. 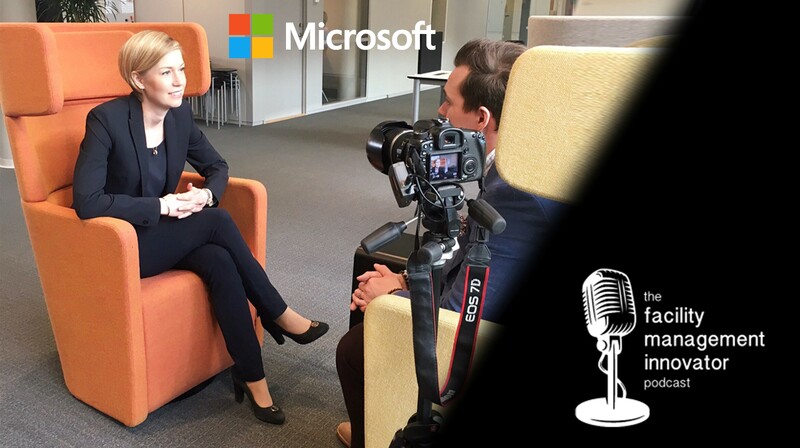 Kati Barklund is Senior Solution Specialist for Modern Workplace at Microsoft Sweden where she is empowering people, teams and organizations to reach their full potential by focusing on workplace holistics. Mike Petrusky asks Kati about the need for collaboration in our organizations, creating environments that lead to spontaneous connections, and the tools we can use to improve productivity. Kati shares an inspirational quote in both English and Swedish! 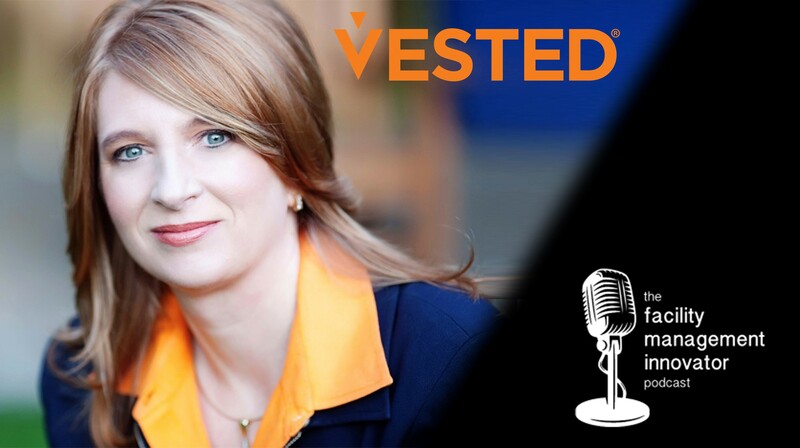 Kate Vitasek is an author, educator and architect of the Vested business model for highly collaborative relationships. She is a faculty member at the University of Tennessee where her research and work has led to the publication of five books. Mike Petrusky asks Kate about innovation in the facility management world related to outsourcing, partnerships, and value creation. Kate tells Mike about a Depeche Mode song she uses when teaching leading to more singing on the show! 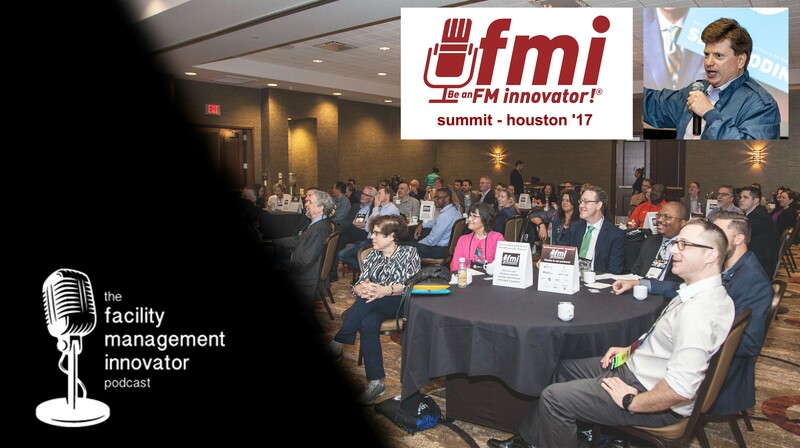 On October 19, 2017, for the first time ever, “The FM Innovator Nation” gathered during IFMA's World Workplace in Houston, TX. 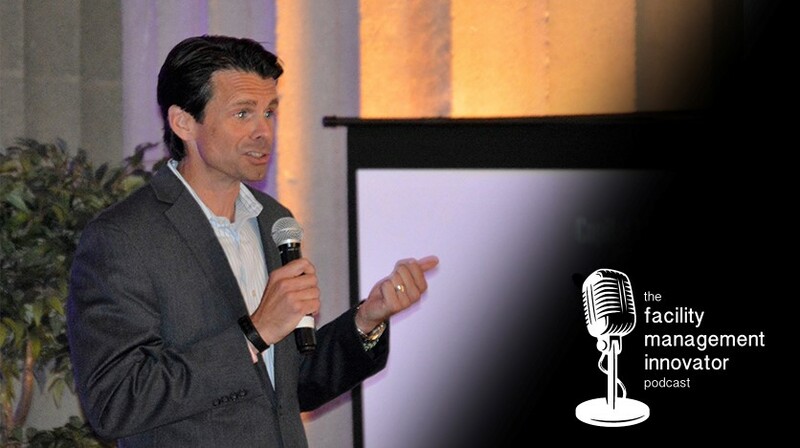 On this episode of the podcast, Mike Petrusky recaps the "live podcast experience" with a play-by-play of the amazing line-up of guests that made this inspirational and motivational event such a special one. 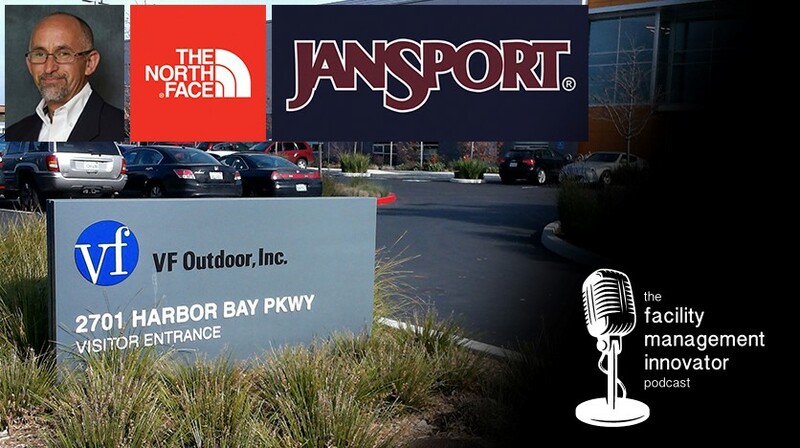 See the full show notes for time-stamps and the complete rundown of audio clips from the “FMI Summit” as they appear on this episode. 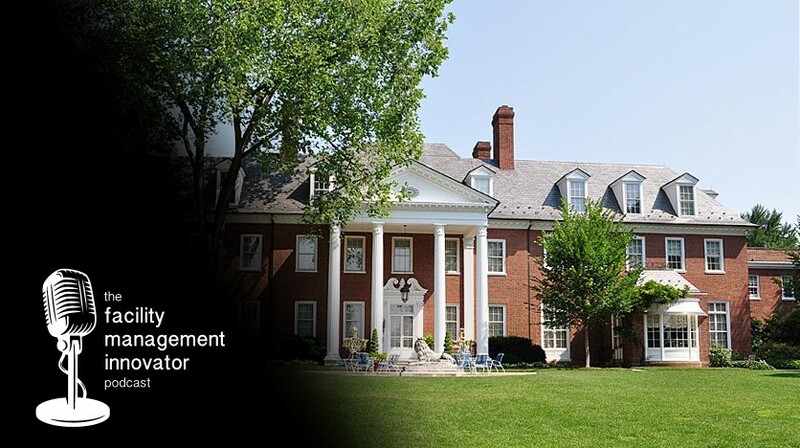 Dan Lowry, MBA, PMP, FMP is Director of Facilities at Southern Hills Country Club in Tulsa, OK, but that is not all! Dan also hosts his own show called “The Learning FM Podcast”, and on this episode, we have put together a special “FM Podcast Crossover Experience”. Mike Petrusky asks Dan about his background as a facility management practitioner and his passion for educating FMs so they can bring value to their organizations. 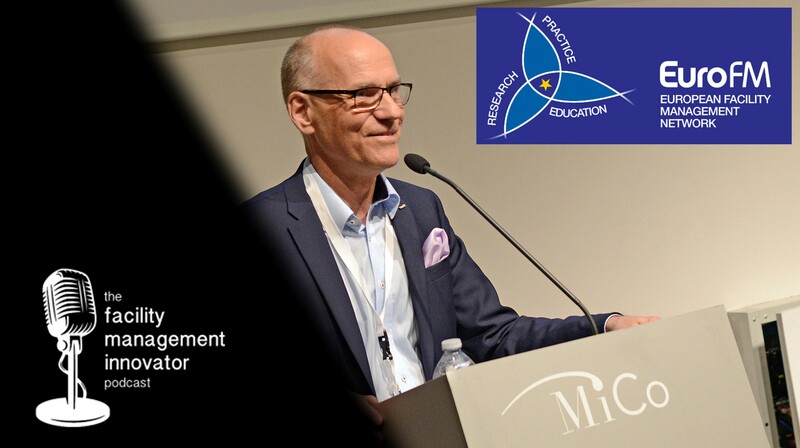 Pekka Matvejeff, M.Soc.Sc., MBA (Henley) is Chairman of the Board at EuroFM where he views networks as “Opportunity Platforms” for sharing knowledge and co-creating new opportunities in our facility management world, as well as in the broader, global business community. Mike Petrusky and Pekka share a philosophy focused on the importance of FM collaboration and they discuss “thinking big, starting small, and moving fast” in this ever-changing workplace. 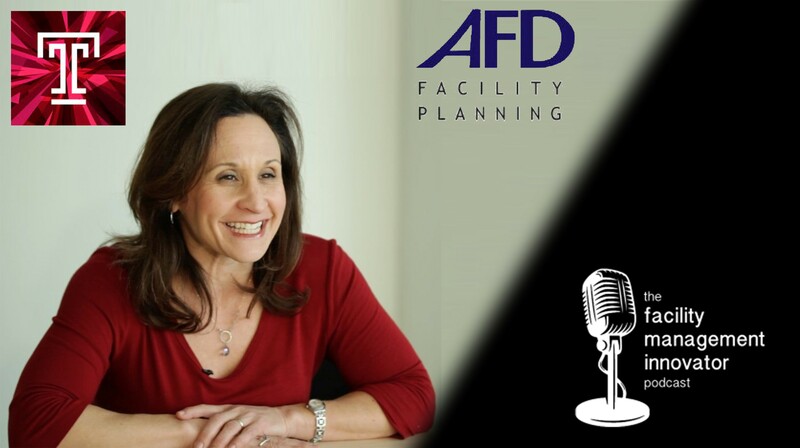 Alana F. Dunoff, FMP, IFMA Fellow is a Consultant with AFD Facility Planning and an Adjunct Professor at Temple University where she has worked to elevate the profession by pouring into the next generation of FM professionals. 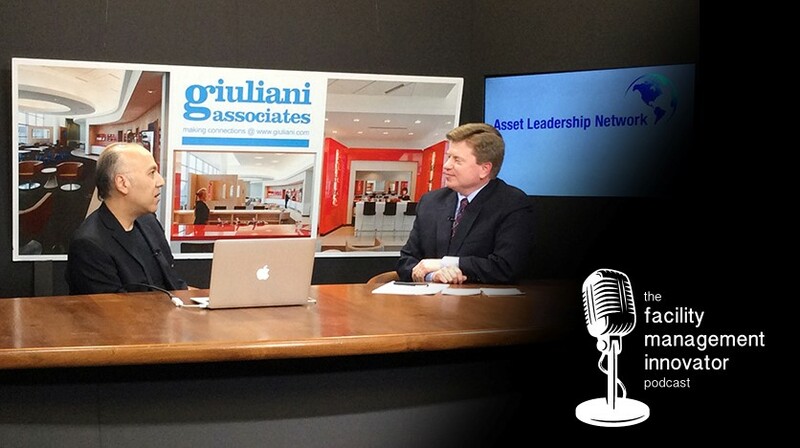 Mike Petrusky talks with Alana about the importance of human connections and relationships in our facility management world, especially during these times where so many rapid changes are taking place in the workplace. 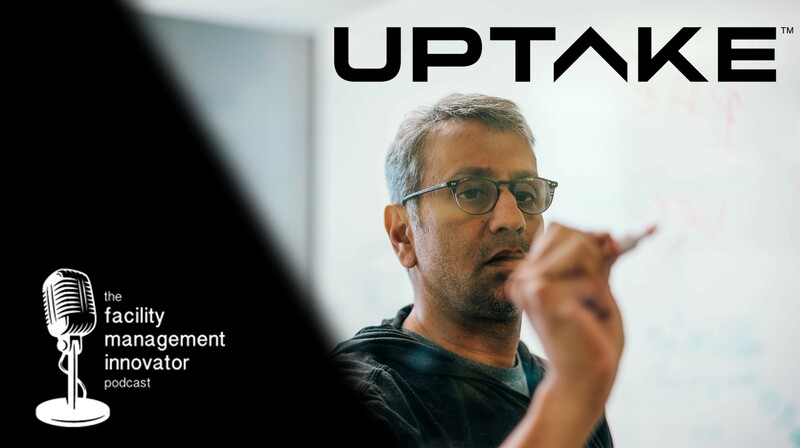 Sonny Garg is the Global Energy Solutions Lead at Uptake, a predictive analytics company that is making industry more productive, reliable, safe, and secure. 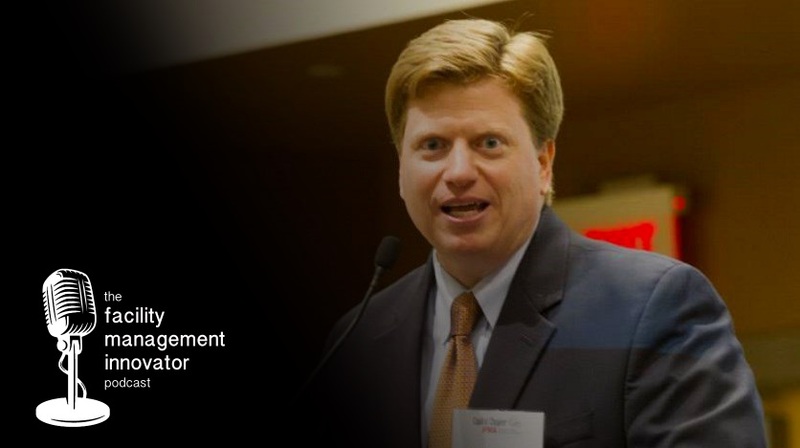 The company works with several facilities management and energy generation clients to prevent asset downtime, and on this episode, Mike Petrusky talks with Sonny about how buildings and campuses can get started with actionable, predictive insights using the data they already have. 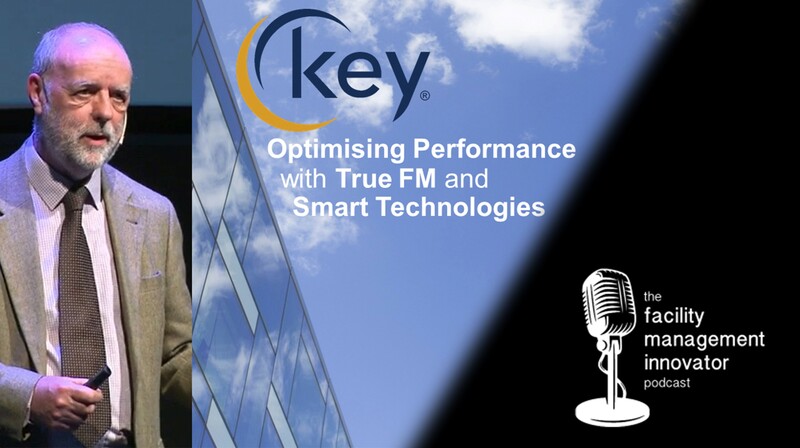 Stan Mitchell is CEO of Key Facilities Management International, the UK’s longest-established Facilities Management business and a globally-recognized FM pioneer. 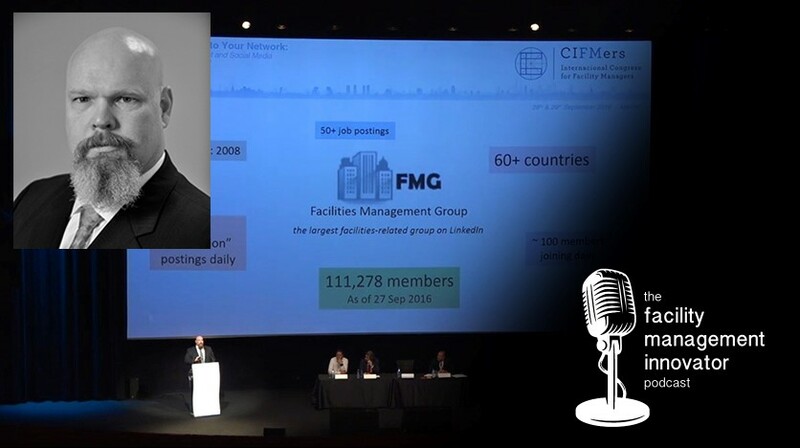 Stan has supported the FM community through his contribution to professionalizing the discipline, through roles including Past Chair of the British Institute of Facilities Management, and leading the development of FM’s first international standards. Maureen Roskoski is a Senior Professional at Facility Engineering Associates where she focuses on promoting resilience and sustainability in existing facilities through consulting, presenting, and teaching. Mike Petrusky asks Maureen about the importance of planning before a disaster and the fact that increasing frequency of severe weather events requires us to be able to respond and recover. Maureen explains how to incorporate resilience into long-term planning. Ep. 55: BD Strategies, Building FM Relationships & Office Tech | Kelly Whitfield - Avitecture, Inc.
Kelly Whitfield is a business development manager and relationship builder who exemplifies what it means for an industry-partner to prove their value to facility managers and become an "FM Innovator". 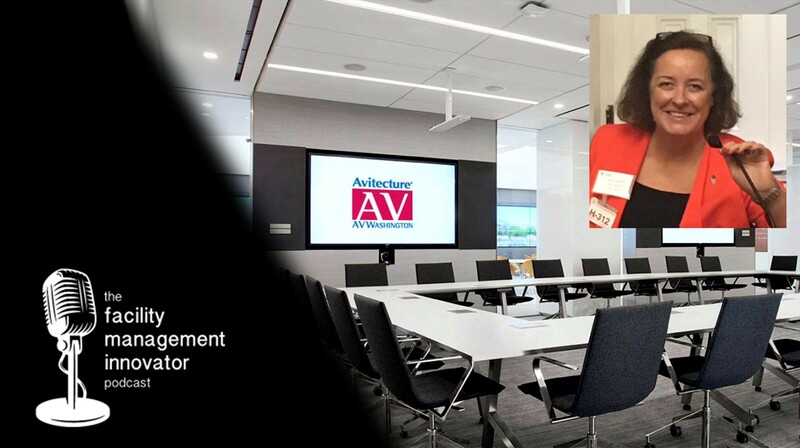 While working at Avitecture and serving on the board at the Capital Chapter of IFMA, Kelly has helped the FM community by working hard to understand the roles and responsibilities of facility management professionals and bringing resources to her connections. 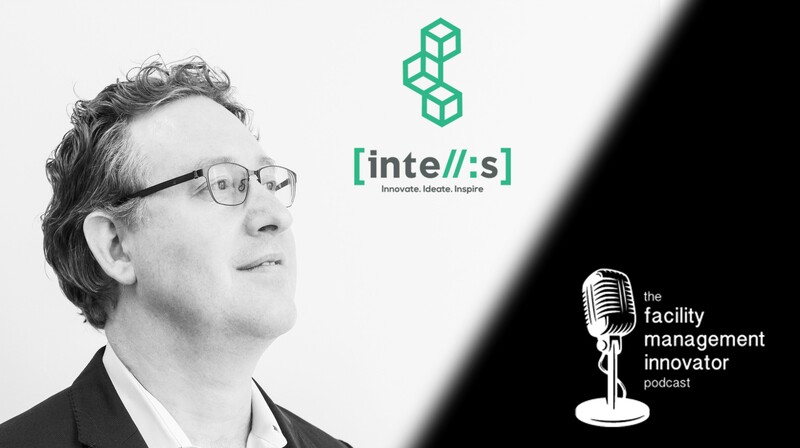 Steve Warshaw is President and CEO of Intellis (formerly Warshaw Group) where he is a leading expert in the field of mobile computing and enterprise mobile application solutions. The company offers mobile condition assessment and capital planning tools, while leveraging other innovative technologies, like AI and BIM, for the engineering and facility management industries. Mike Petrusky asks Steve about music, riding the subway to work, and "Seinfeld"! Joe Pearson, MBA has a strong belief in FM education and partnerships that will allow us to face our current workplace challenges and the ever-evolving "future of work" together. 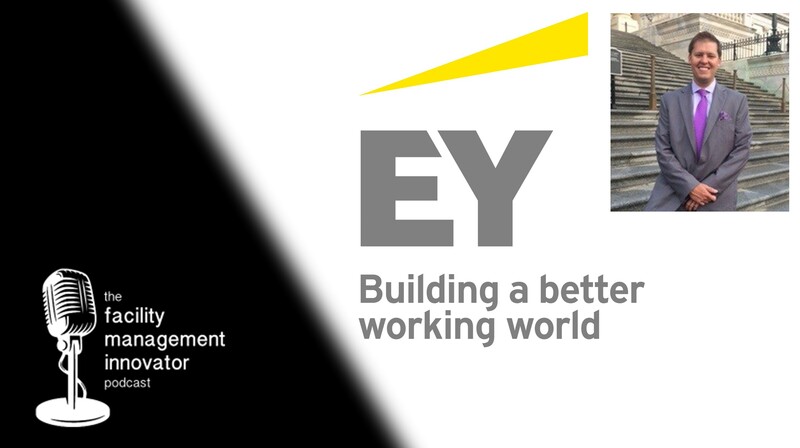 As both Location Manager of the Georgia Market for EY and President of IFMA's Atlanta Chapter, Joe is leading the way with innovative education programs and opportunities to connect with our FM community. Mike Petrusky asks Joe about opportunities at IFMA & the role of sociology in the workplace. 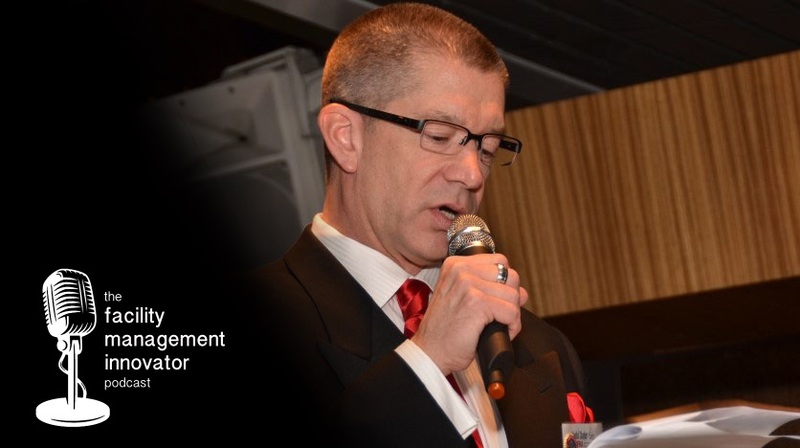 Edward Ehlers, CFM, FMP is a facilities management professional at a global FM services provider, but that is not all. The big takeaway from this episode is most certainly that we should "never judge a book by its cover"! We learn about Ed's work as an FM professional, but that is just the beginning, as we'll also explore some of the many other facets of his very interesting life. 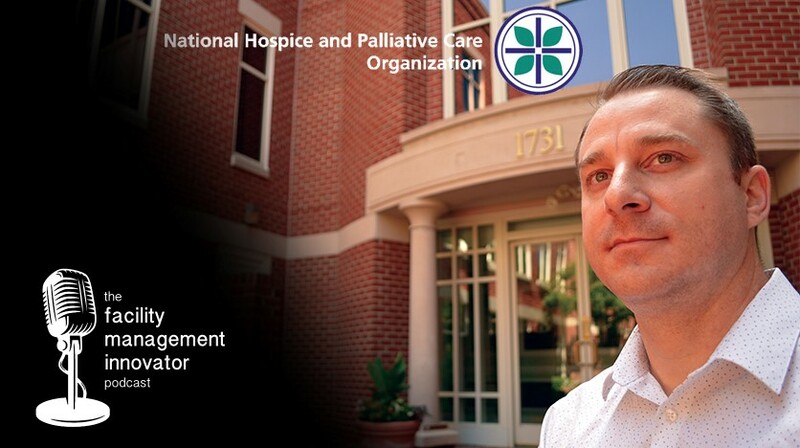 Ed is a deep thinker, a writer, an artist, and the owner of the largest FM related group on LinkedIn (FMG). 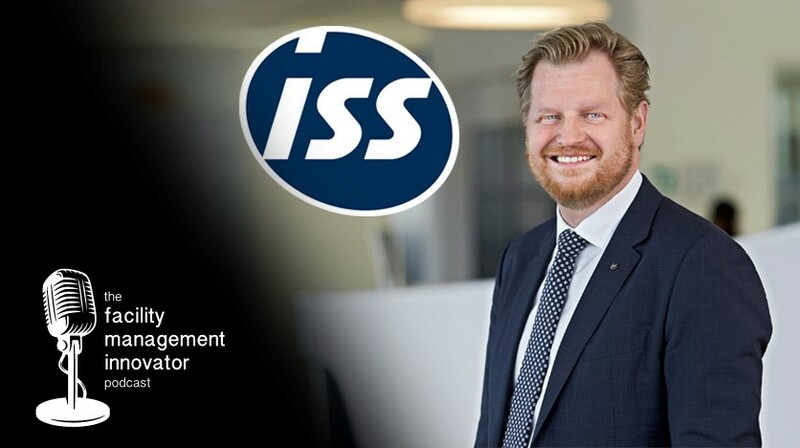 In Part 2 of their conversation, Peter Ankerstjerne of ISS A/S shares with Mike Petrusky the importance of workplace experiences and service design, as well as the need for collaboration and strategic partnerships in facility management. Peter recommends that we "start with why" and focus more on outcomes to measure employee satisfaction, which is the key metric when seeking to attract and retain top talent in today's marketplace. 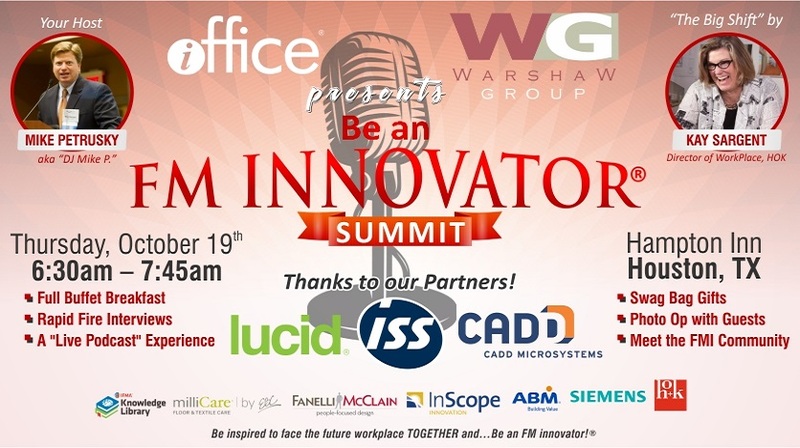 “The FM Innovator Nation” will gather during IFMA's World Workplace in Houston, TX! With a mission to inspire and motivate our FM community, we'll help build partnerships that will allow us to face the workplace evolution together! Our belief is that a true "culture of collaboration" is required to help industry-professionals innovate and adapt in order to keep pace with the changing marketplace. 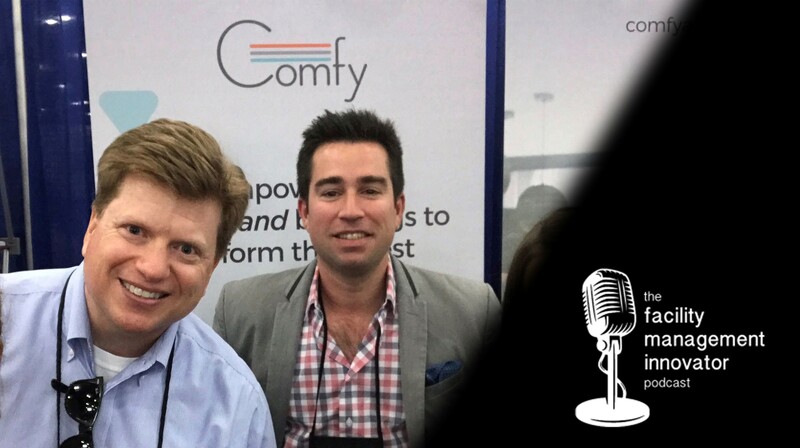 Gary McKelvey, Jr. of Siemens Corporation (our very first podcast guest!) 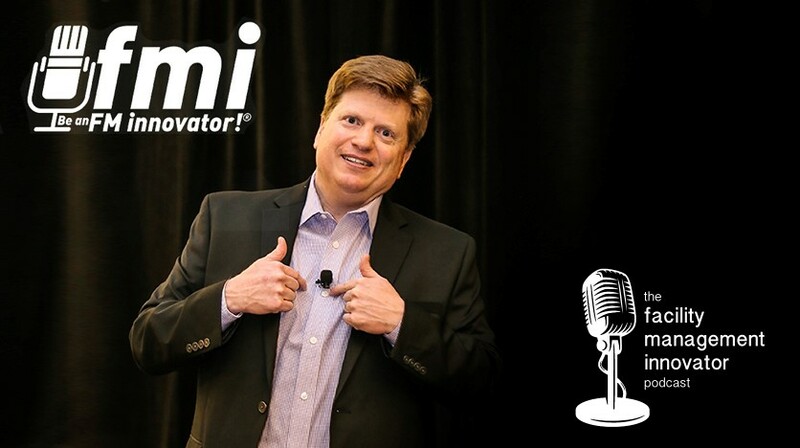 returns to the show to reminisce about how far we have come at this milestone for the "FM Innovator Podcast": Episode #50! Gary and Mike are both passionate about elevating the facility management profession, and they focus on facing the challenge of our industry's "skills gap" and the need to fill "The FM Pipeline" with talent that will help manage the built environment into the future. 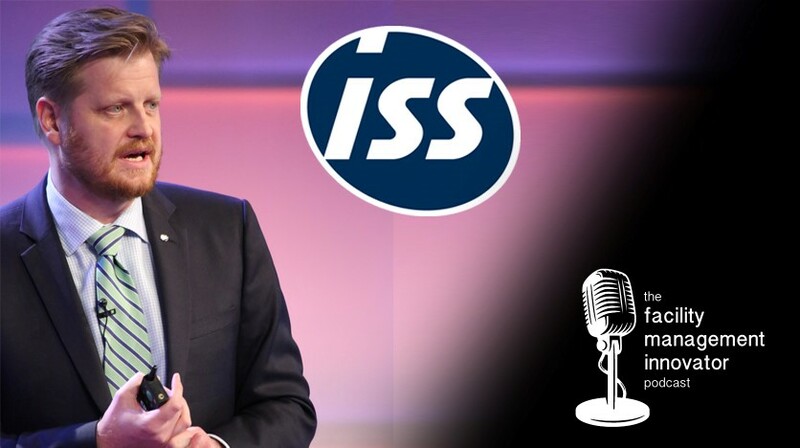 Peter Ankerstjerne is CMO at ISS A/S, a leading global provider of facility services, where he is in charge of marketing, branding, and research that provides a tremendous amount of high quality content for our FM community. 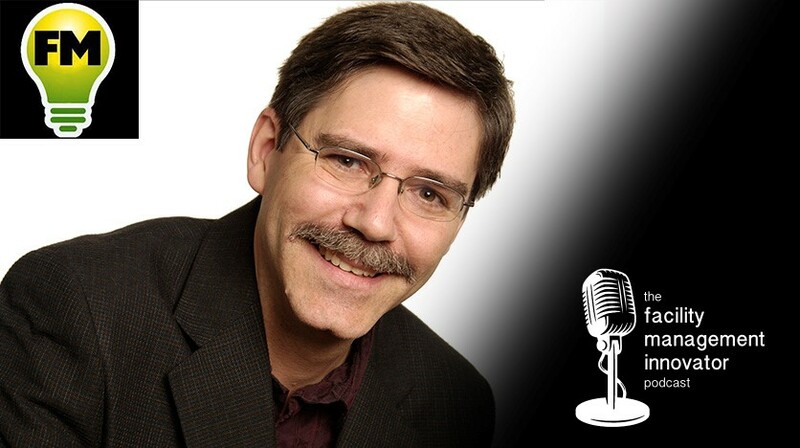 Peter shares with Mike Petrusky about where the FM market is heading and how ISS hopes to be an industry thought-leader that inspires us to elevate the profession by delivering workplace strategies that meet the workplace experience agenda. 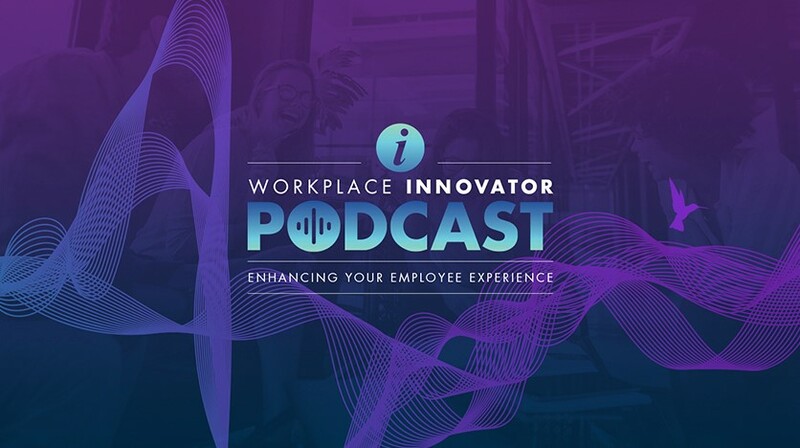 In Part 2 of their conversation, Mike Petrusky asks Jacob Morgan about future technologies, the evolving workplace, and more from his latest book, "The Employee Experience Advantage". Jacob offers unique insights about how FM professionals can prioritize information when evaluating technological advances and how they might manage changes impacting the built environment, including his detailed views on artificial intelligence (AI). 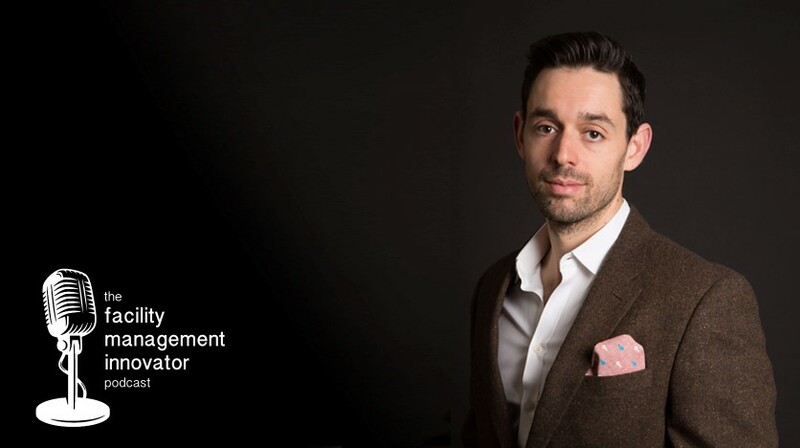 Jacob Morgan is a keynote speaker, a three time best-selling author, and a futurist with an understanding of what organizations must do to "win the war for talent" in today's workplace. 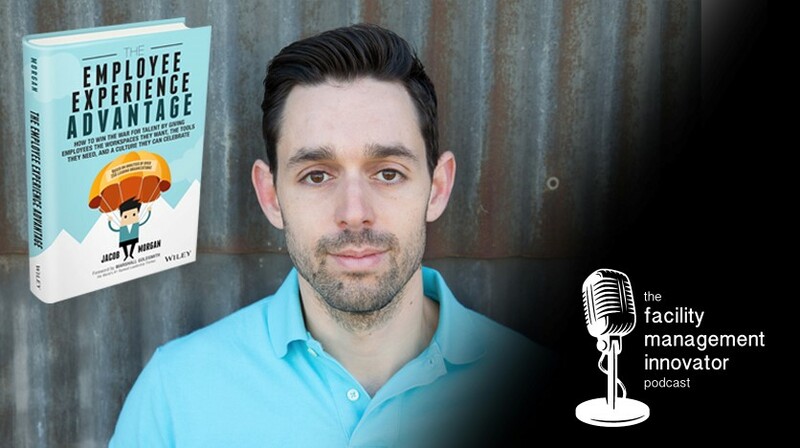 Mike Petrusky talks with Jacob about his latest book, "The Employee Experience Advantage", which is focused on understanding how the workplace is changing and why culture, environment, and physical spaces are key factors in the future of work. 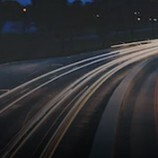 InScope Innovation is working with big data and the Internet of Things to gain insights from the interconnection of devices and systems with the mission of having a global impact on the built environment. 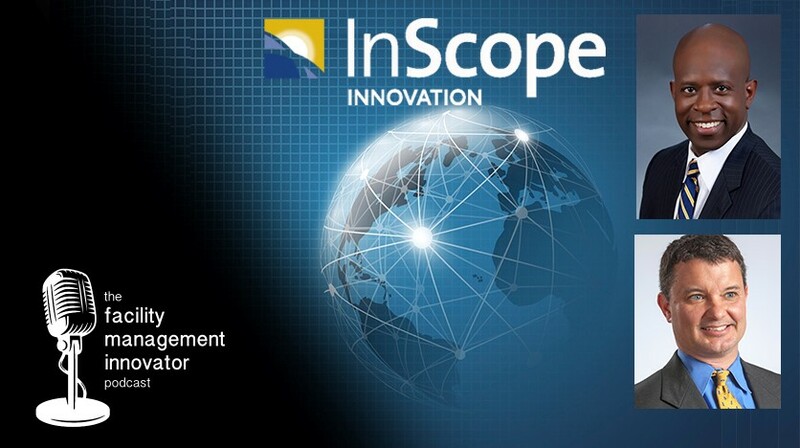 Mike Petrusky talks with InScope Innovation's President & Co-Founder, Mike Bruce, and VP of Energy Services, Eric Oliver, about how facility managers can make use of unique data analysis and information to generate powerful outcomes for their organizations. 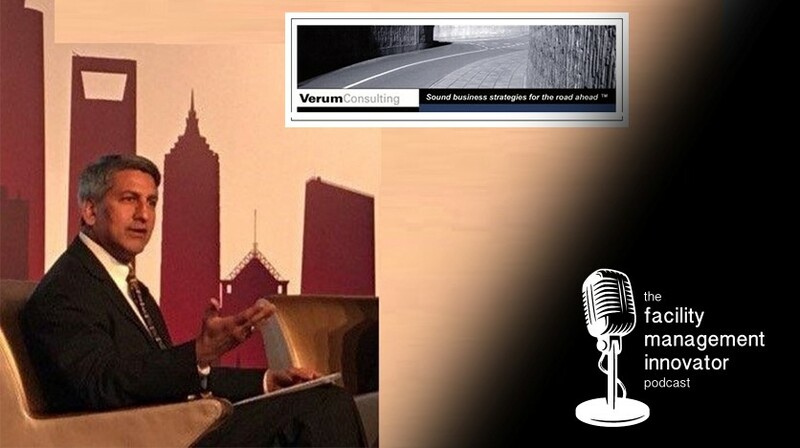 Vik Bangia is Founder and Managing Principal of Verum Consulting, LLC, a strategy and operations consulting firm based in Minneapolis, MN. 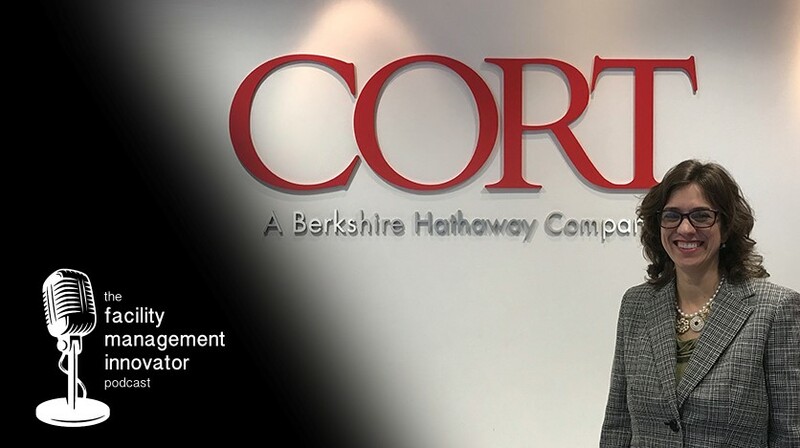 He serves on the Global Board of Directors for CoreNet Global where he is recognized as an expert in corporate real estate outsourcing and is also a sought after keynote speaker. 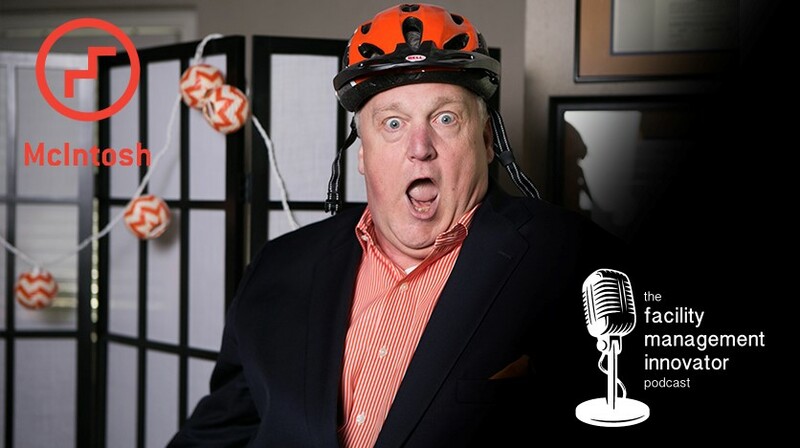 Vik talks with Mike Petrusky and shares his ideas for making the RFP process for corporate real estate fun again by promoting innovation and creativity. 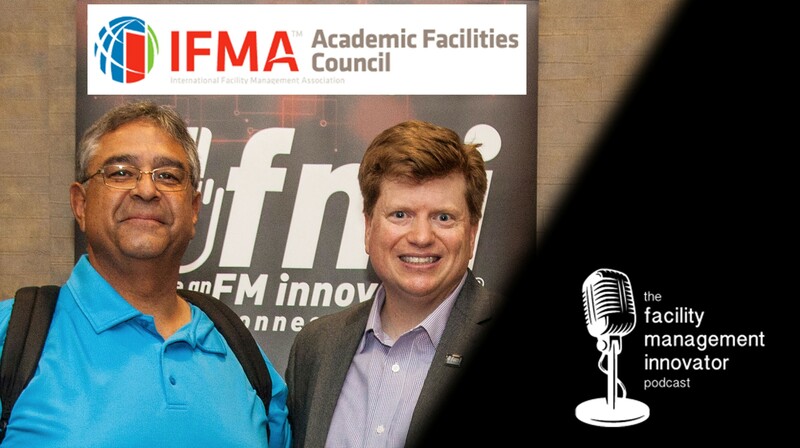 Steven C. Early, CFM, AssocRICS, FMP is an Operations Specialist at NHPCO and he shares his FM story and talks with Mike Petrusky about some of the experiences and connections he has made at IFMA conferences and local events. 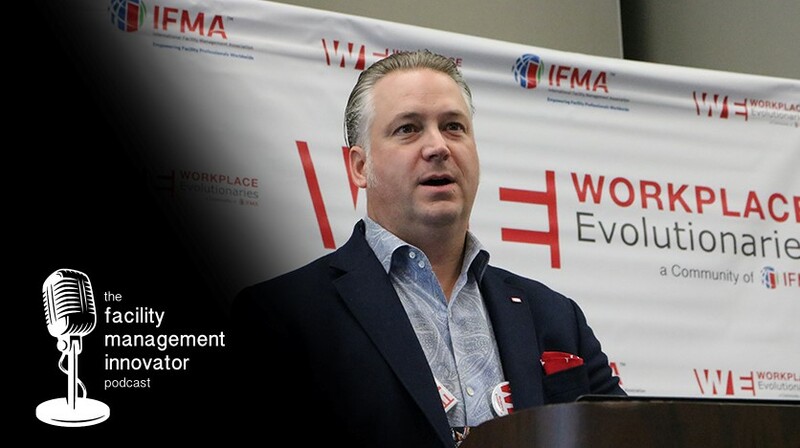 From VIP nightclub stories in Las Vegas to his recent recognition as the Capital Chapter of IFMA's Author of the Year, Steve shares his thoughts about transformational changes in the workplace and the evolving role of facility managers. Brad Gaskins of The McIntosh Group is one of the nation's leading experts on the Americans with Disabilities Act (ADA) and this is the final installment of a three-part series on the topic of ADA compliance. On this episode of the podcast, Brad helps facility managers and owners "begin with the end in mind" when hiring an ADA consultant. Mike reflects on his visit to the Central PA Chapter of IFMA where he delivered a speech and shares lessons learned...from his Mom! Managing the healthcare built environment brings a variety of special challenges, and Robert Graham, CHFM, has experienced much of this in his role as Director of Facilities at a DC-area healthcare system. Rob talks about some of the unique regulations and service requirements that facility managers in the healthcare world must handle. He also shares his view on the importance of collaboration as well as some of the changes and new technologies he is seeing in FM. 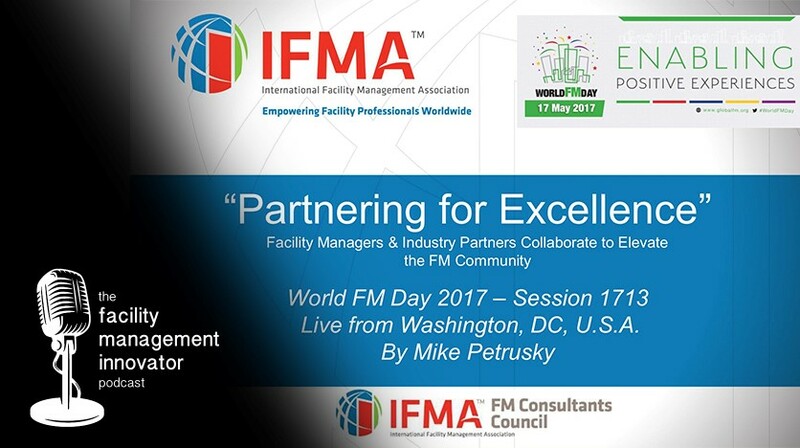 Mike Petrusky was honored to present a webinar for the IFMA FM Consultants Council's World FM Day 2017 virtual conference event in May of 2017. The webinar titled “Partnering for Excellence: Facility Managers & Industry Partners Collaborate to Elevate the FM Community" has a goal of inspiring our FM community as Mike discusses the power of partnerships, the value of a strong network, tips for presenting ideas to your leadership, and bringing innovation to the workplace. 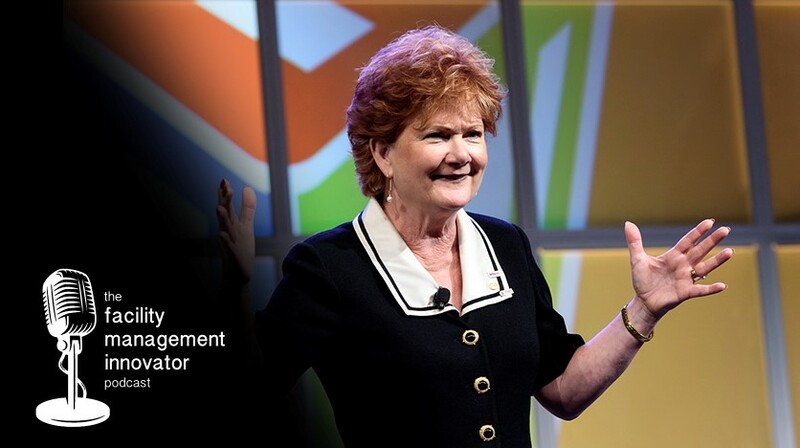 Jill Johnson of Johnson Consulting Services is an award-winning management consultant and she has worked with facility managers to encourage strategic planning & thinking that elevates the FM profession. 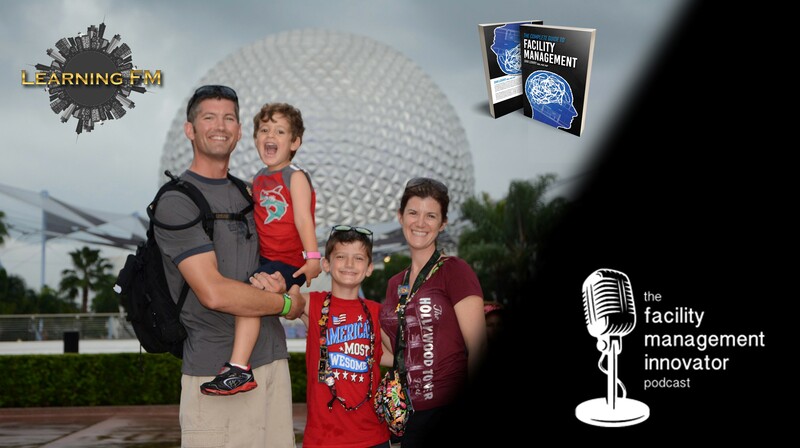 In Part 2 of this discussion, Mike Petrusky asks Jill about her experiences with public speaking and the advice she gives to young professionals as they look to grow their career in facility management. 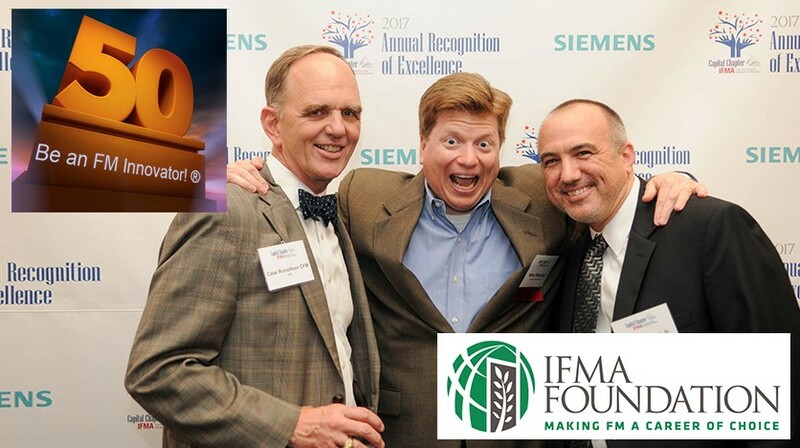 Mike updates us on exciting IFMA-related activities this summer! 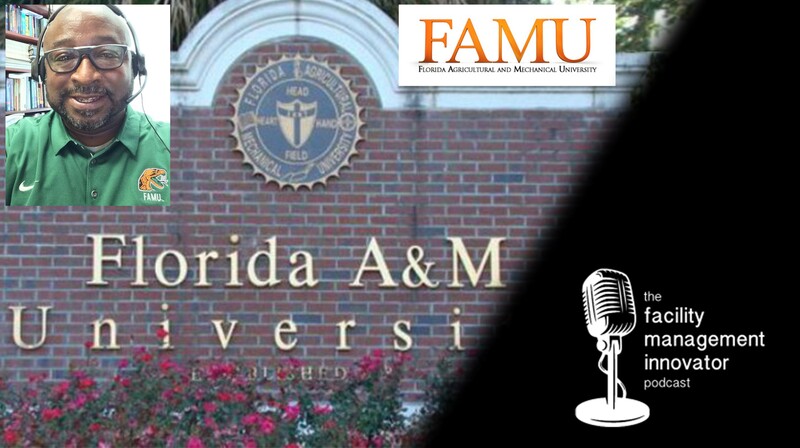 Katie King, MBA is our first guest from "across the pond" and she definitely is an "FM innovator"! 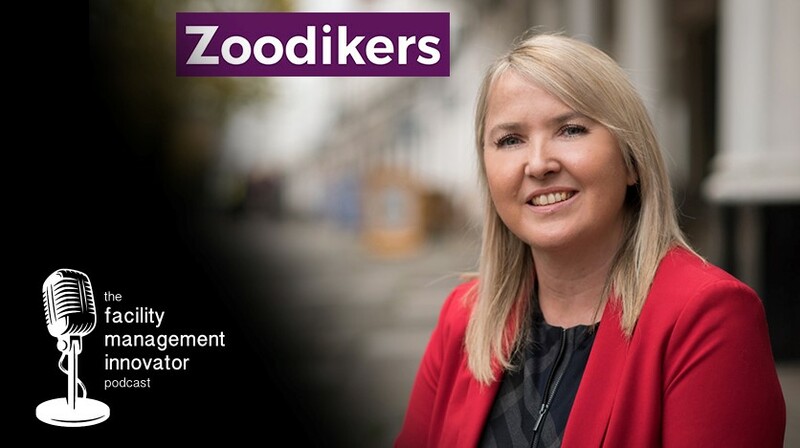 Katie is Co-Founder of AI in FM and Founder of Zoodikers, a digital PR and social media marketing firm where she has helped to elevate the facility management profession. Mike Petrusky asks Katie about her background growing up in the UK, her favorite music artists, and strategies for marketing in today's FM world. They talk about the latest technology trends and workplace innovations. 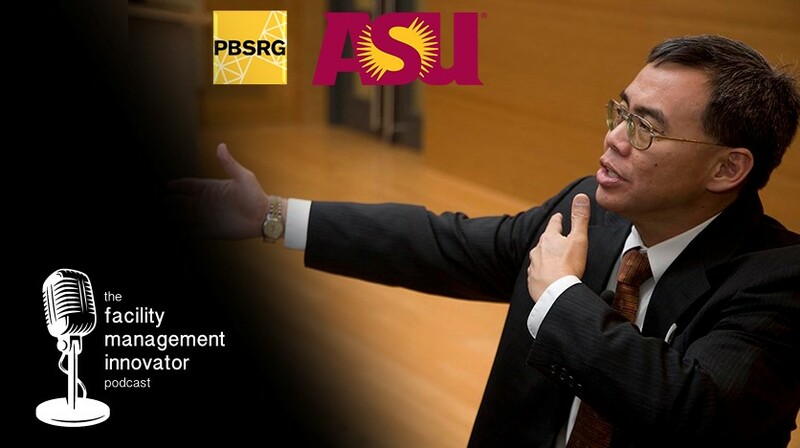 Dean T. Kashiwagi, PhD, P.E., IFMA Fellow, Fulbright Scholar is a professor at Arizona State University and the Director of the Performance Based Studies Research Group (PBSRG), a worldwide leader in improving facility and project performance and efficiency. Mike Petrusky asks Dr. Dean about the role of the facility manager in the future, automation in the workplace, and what makes a good leader. 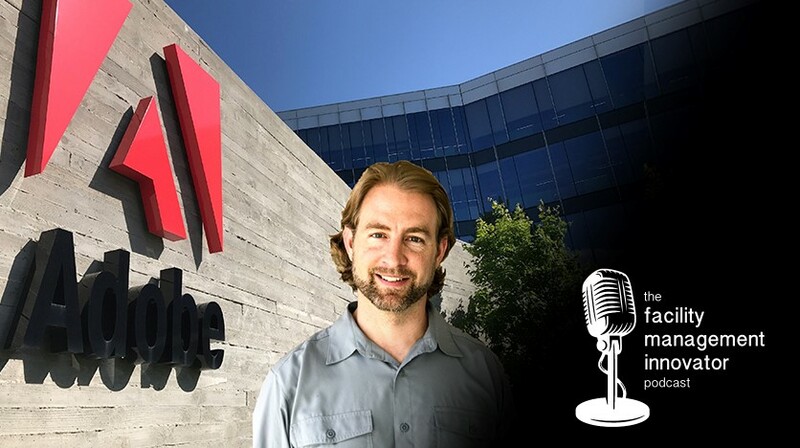 Adobe products enable people to create amazing things and inspire one another, and our guest today, Regional Site Operations Manager, Jeremy Macdonald, LEED AP, MCR, is on a mission to create amazing and inspiring workspaces so that Adobe employees can reach their fullest potential. Mike Petrusky asks Jeremy about his facility management role, what it takes to promote engagement in the workplace, and his thoughts about the future of FM. 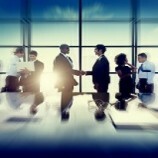 What makes a successful FM industry-partner? 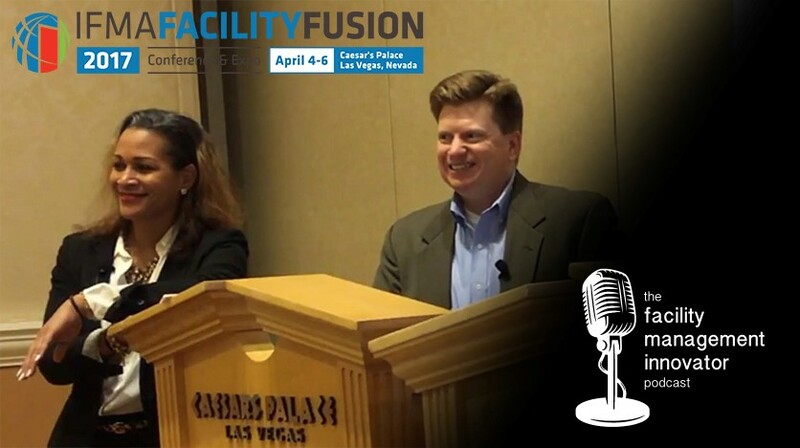 Reflecting back to IFMA's Facility Fusion 2017 and their presentation on "Partnering for Excellence", Lena Thompson, FMP and Mike Petrusky agree that making connections and sharing knowledge were the top priorities for this conference and should be our goal at every FM industry event. Getting outside of our comfort zones to face challenges in the workplace is essential to meeting the needs of the built environment. 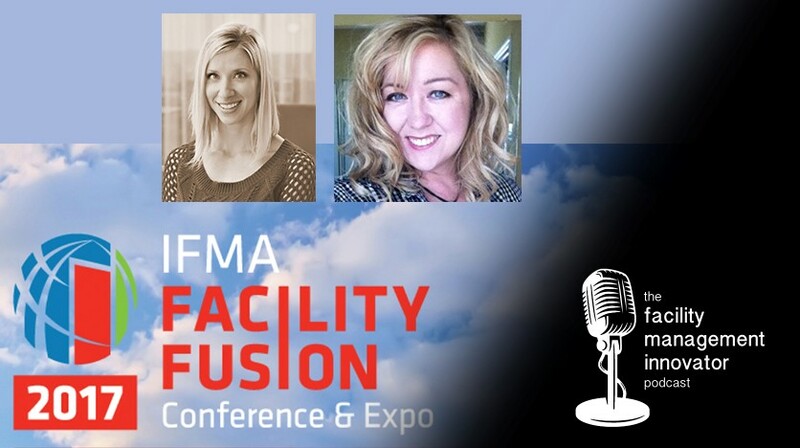 IFMA conferences allow us to make meaningful personal connections in our facility management community with both fellow FM practitioners and industry-partners. 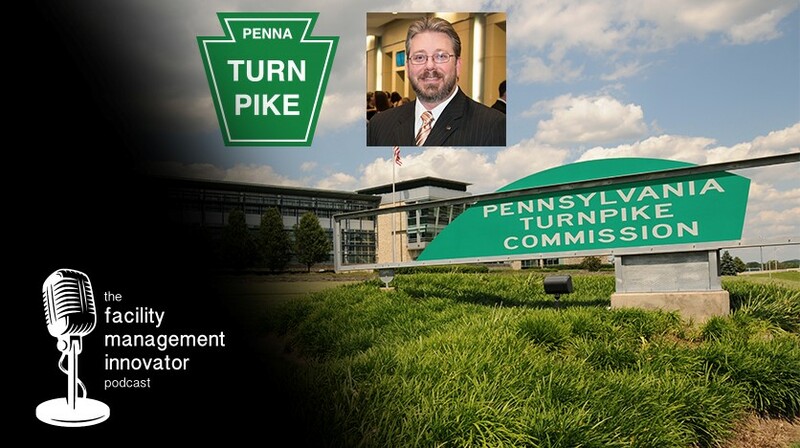 Robert Kleimenhagen, Jr., CFM, SFP is the Facilities Strategic Planning & Program Manager at the Pennsylvania Turnpike Commission and whether at local IFMA Chapter meetings, national IFMA shows, or other events (such as NFMT), he continuously finds ways to collaborate with colleagues. Tyrel Melville, FMP is the Senior Regional Manager, Real Estate & Facilities, Caribbean South Hub for Scotiabank. 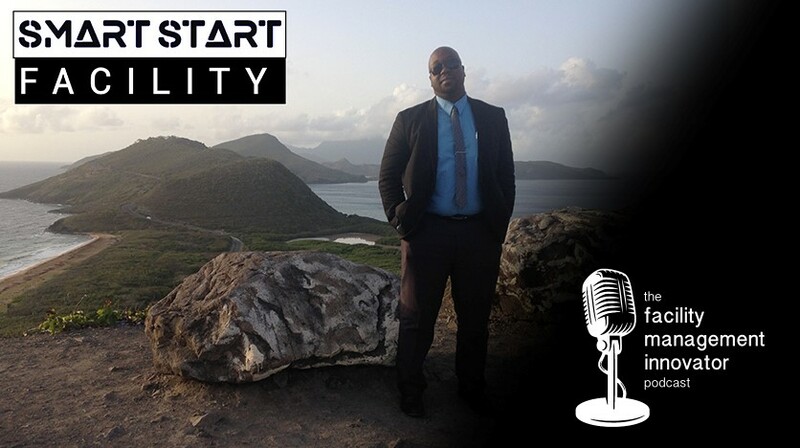 He is passionate about inspiring his fellow FM practitioners, building effective teams, and working with industry-partners to meet the needs of the workplace throughout a portfolio that crosses the borders and cultures of a dozen Caribbean countries. Mike Petrusky asks Tyrel to share a bit about his journey and passion for sharing FM inspiration with "Smart Start Facility". 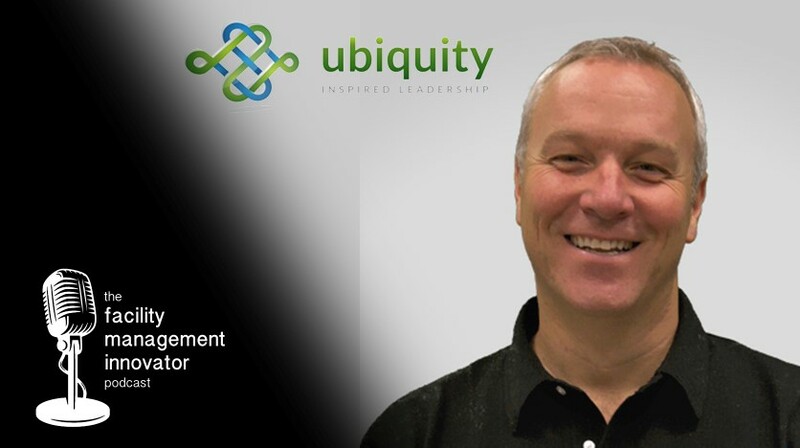 Terry Lipovski is President of Ubiquity Leadership Coaching where he shares his passion as an Executive Coach, a Strategic Advisor and a TEDx Speaking Coach. He builds best practices and management strategies that help others "find that spark" which allows them to reach their full potential. Terry is ready to bring a deeper dive session to Facility Fusion Canada 2017 in Toronto. 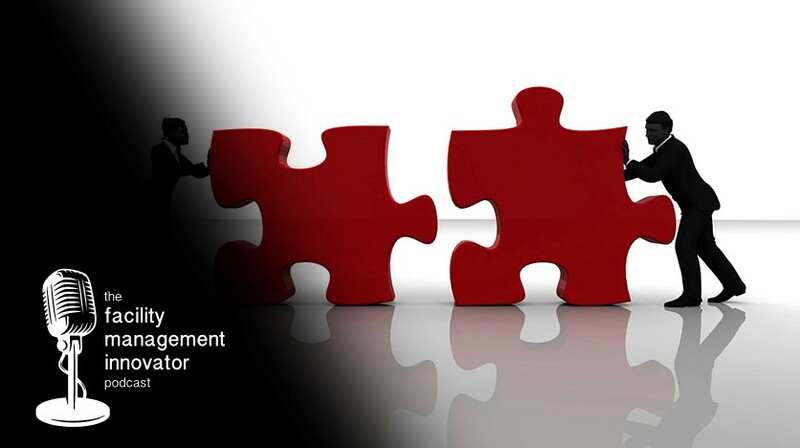 His workshop will equip facility managers to "lead from the middle" and "influence without authority". "ADA Geek" Brad Gaskins is an expert when it comes to The Americans with Disabilities Act (ADA), and on this episode of the podcast, we take a deeper dive into what facility managers need to know about the ADA. 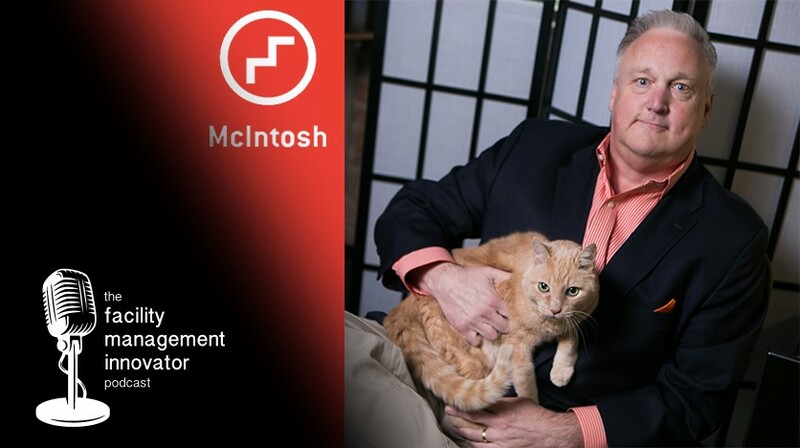 This is the second of a series of interviews and Brad talks more about his work with The McIntosh Group where he helps FM practitioners determine which compliance standard they should follow and helps them understand the risks related to the ADA. 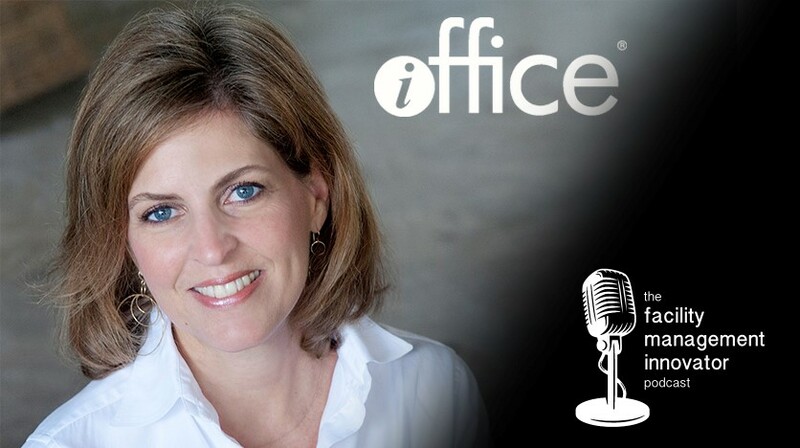 iOFFICE is the leading workforce-centric IWMS software and the only 100% SaaS platform designed for the Digital Workplace and co-founder Elizabeth Dukes is our special guest on the podcast today. Mike Petrusky asks Elizabeth her thoughts on innovation, collaboration, and the tools available for sharing data to enhance our experiences in the workplace. iOFFICE is focused on building partnerships & offering solutions leading to more productive, integrated workspaces. "Can Do!" 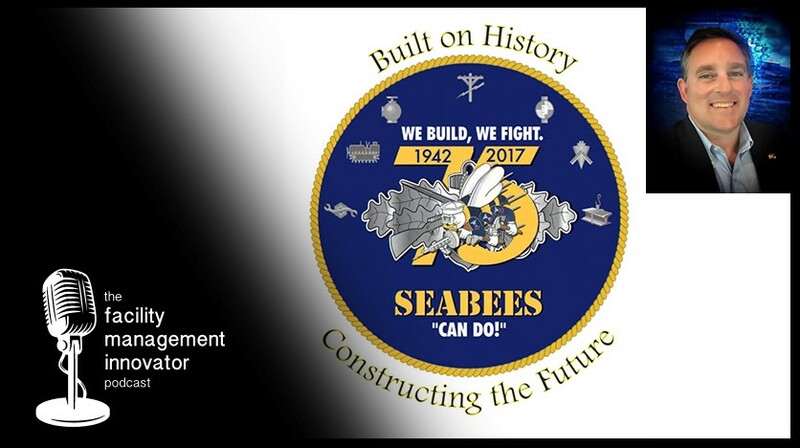 is a motto of the U.S. Navy Seabees that Randall Niznick has continued to live out after transitioning to his civilian career in facility management. Mike Petrusky discovers how Randy's military background and service to others approach have helped him thrive and grow in his career as an FM professional. Randy shares his passion for helping to build the next generation of FMs and his belief that military veterans are a great fit for filling the FM knowledge and talent gaps. Kim Coffey and Ann Loayza of IFMA are working hard to prepare for the 2017 Facility Fusion Conference & Expo. Mike Petrusky asks about the unique features of this event taking place in both Las Vegas and Toronto. The show will provide time dedicated to opportunities for collaboration between FMs and industry-partners, along with deeper dive education programs focused on the individual. 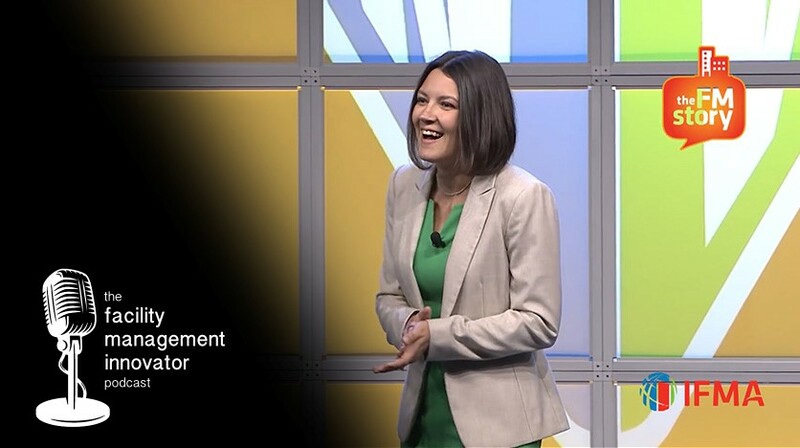 Hear about how "tech, tasks, and talent" are all parts of "The Changing Face of FM". 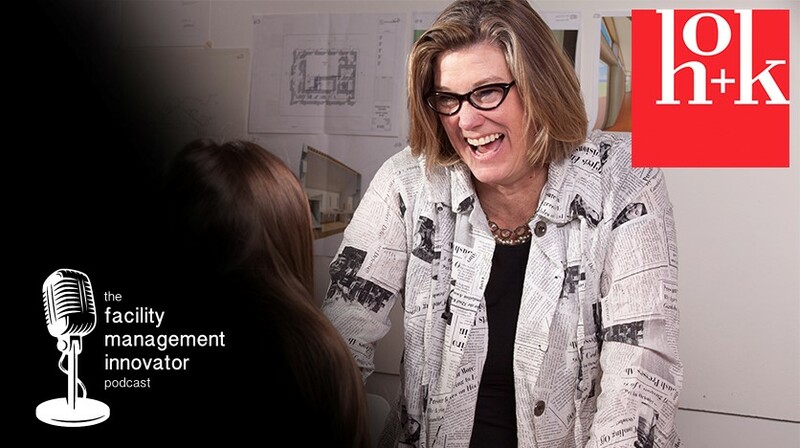 Kay Sargent is a senior principal and director of HOK’s WorkPlace practice and Mike Petrusky recently asked Kay to discuss strategies for the built environment, with a specific focus on the future of facility management in the workplace. 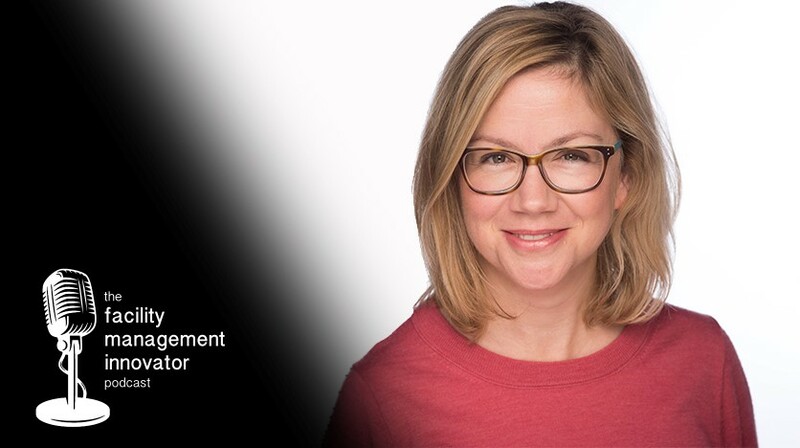 Kay is passionate in her belief that place can be a powerful asset if we design space well, and she brings this philosophy to the world's largest corporations as she helps them create innovative work environments. Whole Foods Market is "America’s Healthiest Grocery Store" and known for its mission-driven approach with both sustainable agriculture and facilities. 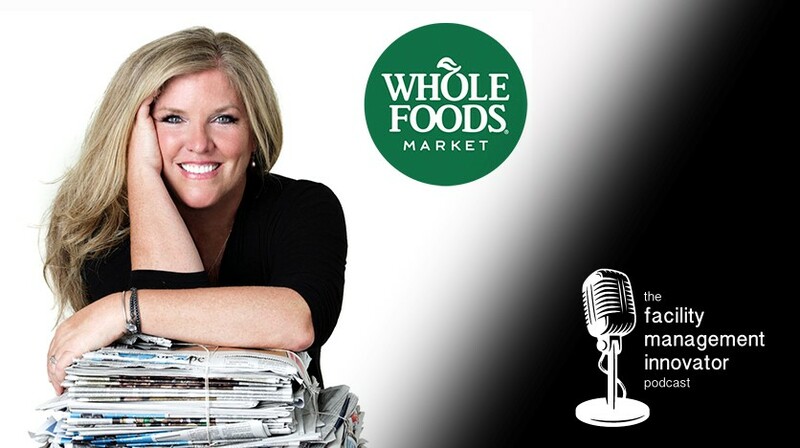 Mike Petrusky talks with Kathy Loftus, Whole Foods Market's Global Leader of Sustainable Facilities, about leading her team, the importance of industry-partnerships, and the impact FM professionals have on the future of the built environment. 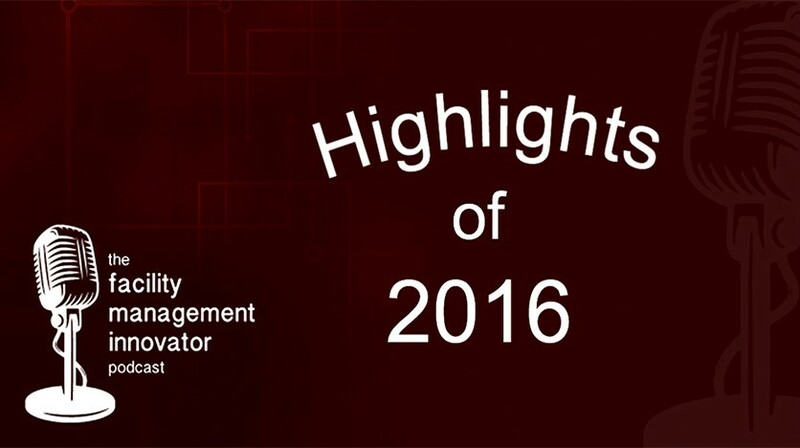 We also discuss Kathy's recognition as the "WPI 2016 Innovator of the Year". The Americans with Disabilities Act (ADA) is a topic that facility managers need to understand and Brad Gaskins of The McIntosh Group is one of the nation's leading experts on the subject. Mike Petrusky talks with Brad about the applications and definitions contained in the ADA and what FMs should know with regard to accessibility and compliance in their facilities. Learn about Brad, his favorite college team, and the color of all the shirts in his wardrobe! Building your brand in the facility management marketplace is a long-term process and one that takes patience and a strategic vision. 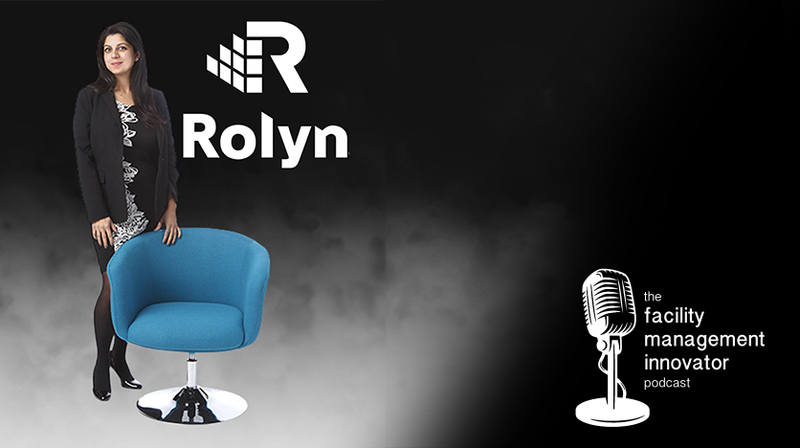 Jenny Andrawis, Director of Marketing at Rolyn Companies, Inc., talks with Mike Petrusky about their shared philosophies and respect for the wisdom of Seth Godin. Whether you are an industry-partner or a facility manager, you can benefit from growing and leading your "tribe" in the FM world. 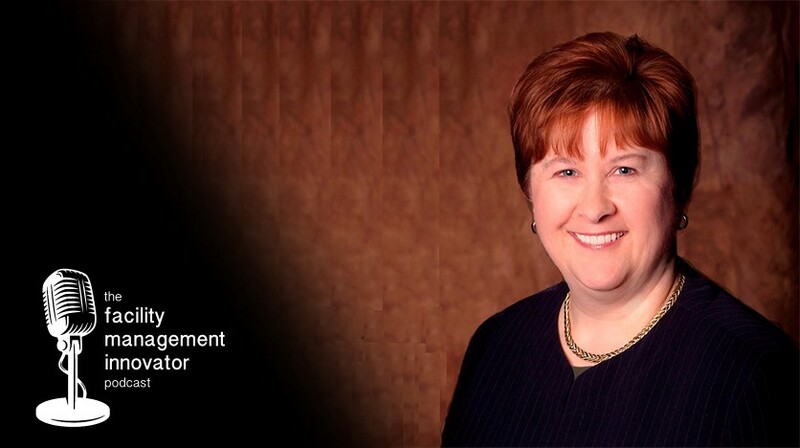 There are just a handful of names that come to mind when we think about the "legendary" contributors to our FM community, and Teena Shouse, CFM, IFMA Fellow, is certainly one of them! Mike Petrusky catches up with Teena, as she enjoys more free time, but continues to inspire us. 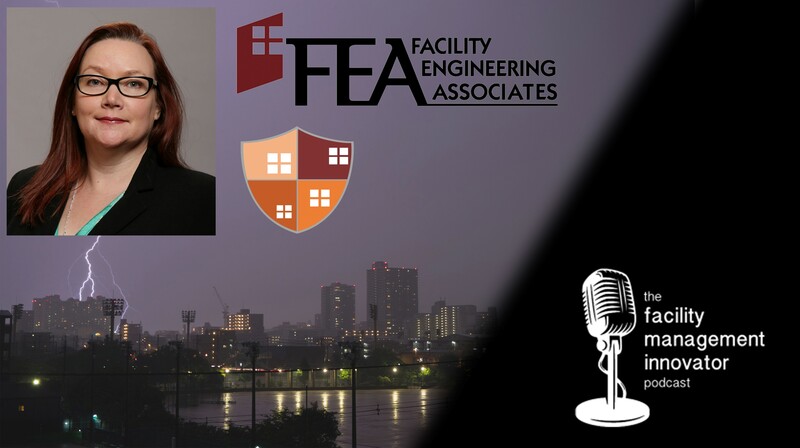 They talk about Teena's speaking engagements, ongoing involvement with IFMA, FM education, and her passion for mentoring the next generation of FM professionals. By understanding the many responsibilities of a facility manager, FM industry-partners can be in a better position to help meet the needs of the workplace. FM Dexter Barrow talks with Mike Petrusky about caring for his facility, its occupants, and building trusted IFMA relationships. Dex's comments about "binge watching" a TV show leads Mike to share another personal story, this time about "The Walking Dead"! 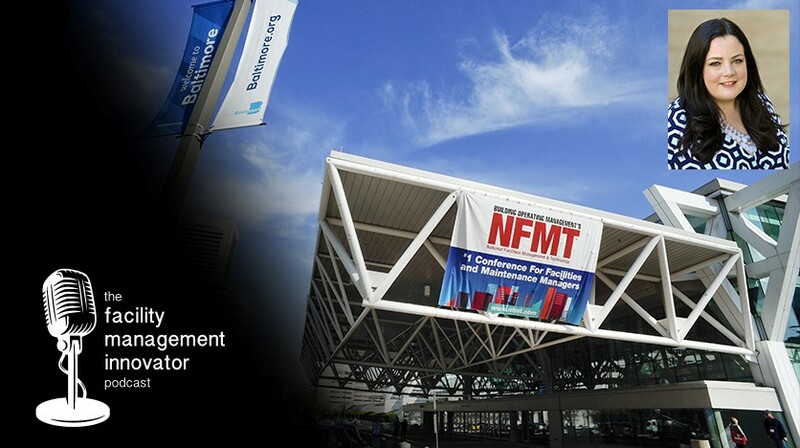 NFMT 2017 is coming to the Baltimore Convention Center! Mike Petrusky will be there and he talks with Director of Education and Conferencing, Amy Brown, about some of the many FM trends & topics that will be featured at this year's show including IoT, Smart Buildings, and Safety & Security. We also get to know Amy a little bit personally as Mike asks about her favorite TV shows and books. Award-winning management consultant Jill Johnson shares her views about shifting focus from a task oriented approach to a higher level, strategic view of the built environment. 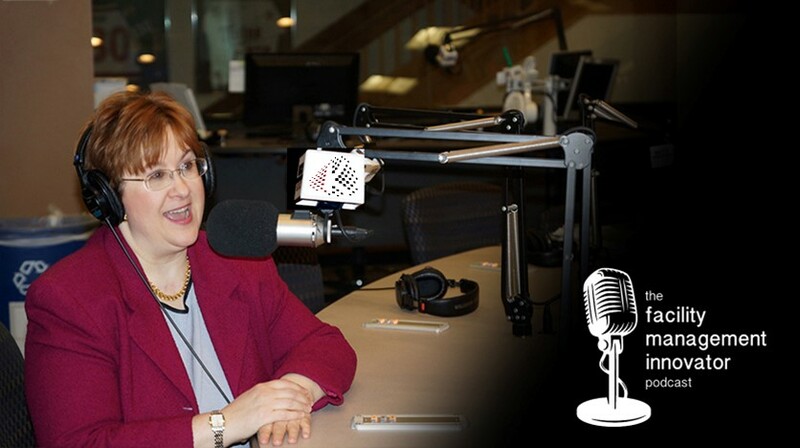 Jill talks with Mike Petrusky and offers practical advice for presenting ideas to an organization’s leadership team. The goal is to help elevate the FM profession and equip FMs with the tools needed to bring more value to their workplaces. Listen in as we discuss the importance of aligning workplace strategy with wellness initiatives to create attractive workspaces. 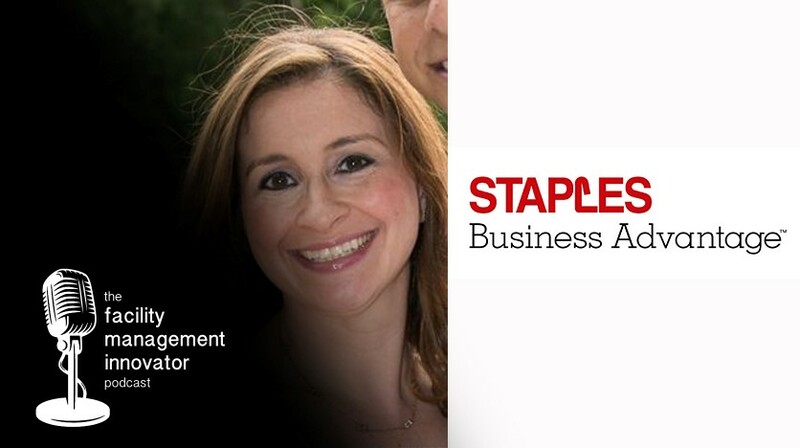 Jenya Adler of Staples Business Advantage uses a comprehensive & strategic approach, leveraging the expertise of the FM industry. Mike Petrusky asks about IFMA conferences & communities of practice such as Workplace Evolutionaries. Get your copy of the “Staples Workplace Index" here. 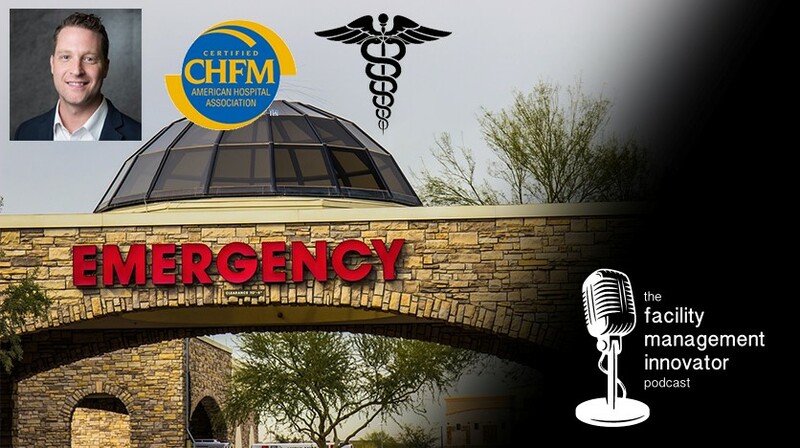 Episode 18: Facility Management Goals for the New Year! As we head into 2017, let’s find ways to collaborate, innovate, and elevate the FM profession together. What are your facility management goals? Mike Petrusky shares stories from Seth Godin about how we can step outside of our comfort zones and challenge the status quo. We must “be comfortable being uncomfortable” as we seek to create value in our workplaces. Topics on future podcast episodes include FM technology, management, workplace, and marketing strategies. 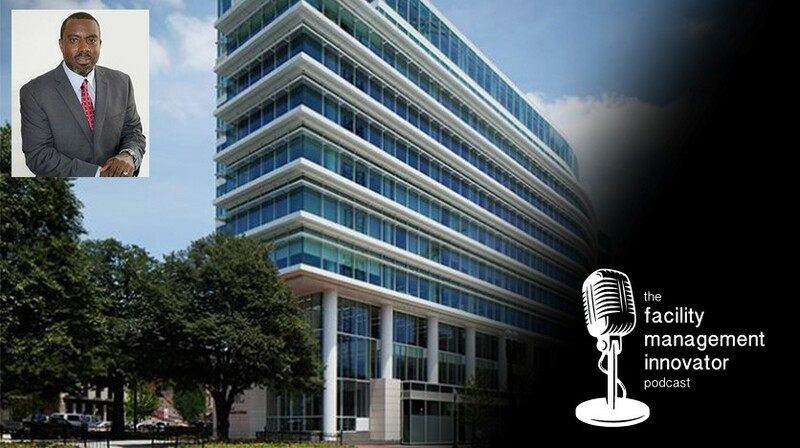 Join the "FM Innovator Nation" and catch up on the first sixteen episodes of "The Facility Management Innovator Podcast" from 2016. Mike Petrusky shares some highlights from the show including favorite moments, music, movies, and facility management insights. Hear insights from a facility management professional who understands the value of collaboration & making connections in our FM community. Jessica Bickel of Hewlett Packard Enterprise offers encouragement to colleagues & advice for industry-partners trying to reach FMs. Jessica discusses the need for continuing education & leveraging technology to meet the demands of managing the workplace. We also learn about Mike's excitement over the new Star Wars movie. 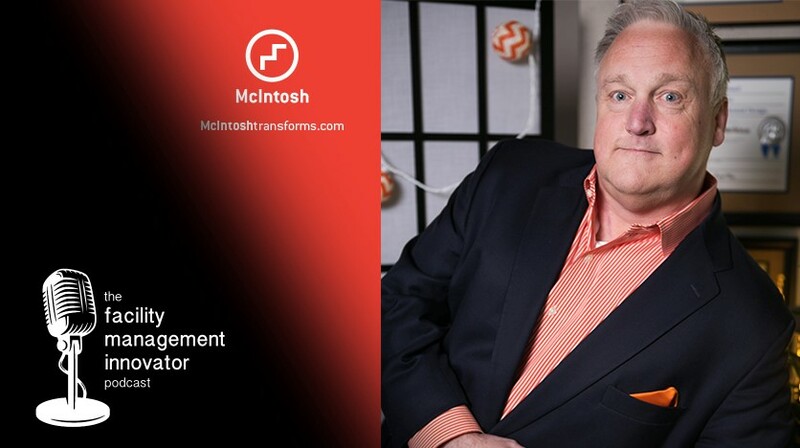 Michel Theriault is a Strategic Advisor at FM Insight Consulting where he supports the FM profession through consulting, writing, speaking & training. Mike Petrusky asks Michel to share best practices for helping facility managers utilize technology to improve efficiencies in the built environment. 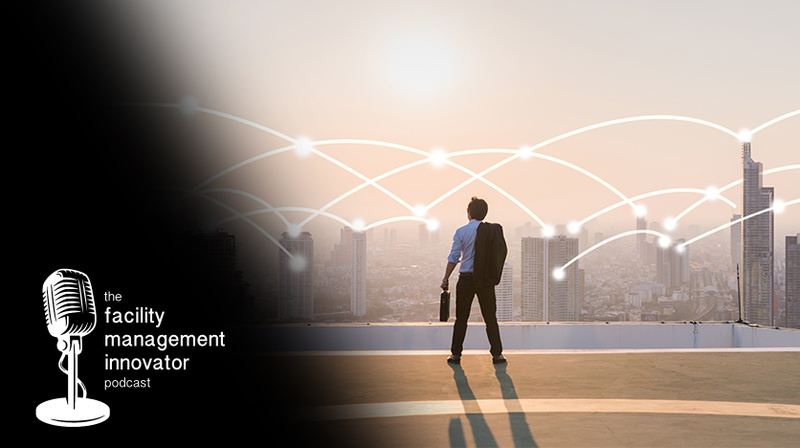 We discuss how FMs can make the business case for implementing workplace solutions, provide strategies for selling ideas to management & help you connect with the FM community. Andrea Sanchez is a leadership enthusiast and IFMA's VP of Communications and Organizational Change. Mike Petrusky talks with Andrea about discovering our passions, facing challenges, and motivating our facility management community to embrace innovation and workplace success through disruptive change. We discuss connecting in person, via social channels, and online with Andrea's Twitter Chat called #DareToBe. 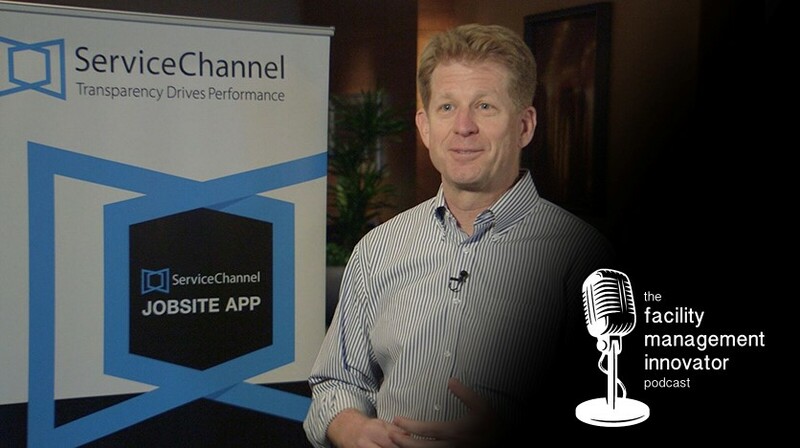 FM industry-leader Tom Buiocchi of ServiceChannel discusses workplace trends, business process automation and how technology will impact the future of the built environment. Mike Petrusky asks Tom about collaboration, IoT, and how FMs can present the business case for new technologies to the C-Suite. We learn about Tom personally and get valuable insights from his career leading innovative companies. Download your copy of the free Ebook here. During this Thanksgiving week, Mike Petrusky takes a moment to reflect on how the podcast has been a platform for promoting collaboration in the FM community. He shares inspiration from one of his favorite marketing writers, Seth Godin, that can be applied to the important work that both FMs and industry-partners do in the built environment. Mike also discusses his favorite holiday movies and music, including the greatest Christmas movie of all time! What can we learn about the future of the workplace from the next generation of facility management professionals? Mike Petrusky talks with IFMA's World Workplace 2016 keynote speaker, Jake Gunnoe, about technology, education, and building the FM pipeline. Jake shares insights that will inspire the entire FM community as we discuss the power of collaboration and personal connections. We also have some laughs and fun with movie quotes that you won't want to miss! 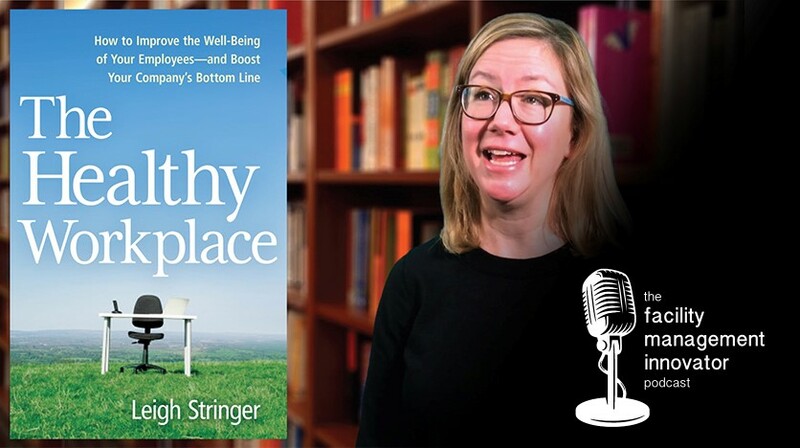 We continue our conversation with workplace expert, Leigh Stringer, about her new book, "The Healthy Workplace". On Part 2, Leigh gives Mike Petrusky some practical advice based on her research regarding sleep and motivation for pursuing positive health changes. We look at the future of the workplace and discuss technology and what FMs should consider when implementing innovative solutions. Learn more about the book here. Read Leigh's blog here. Building a culture of collaboration in the FM community is essential for workplace success. Mike Petrusky & Geoff Snavely talk about delivering tangible value to facility managers using the most effective sales, business development and management techniques. 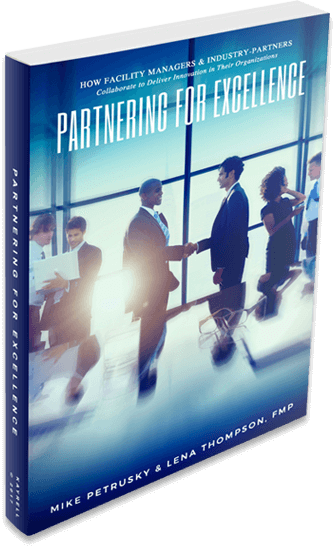 Topics discussed include partner relationships, determining ROI from associations, and differentiating your offering. Geoff shares what he believes is the best show on TV & Mike talks about his favorite U2 album. 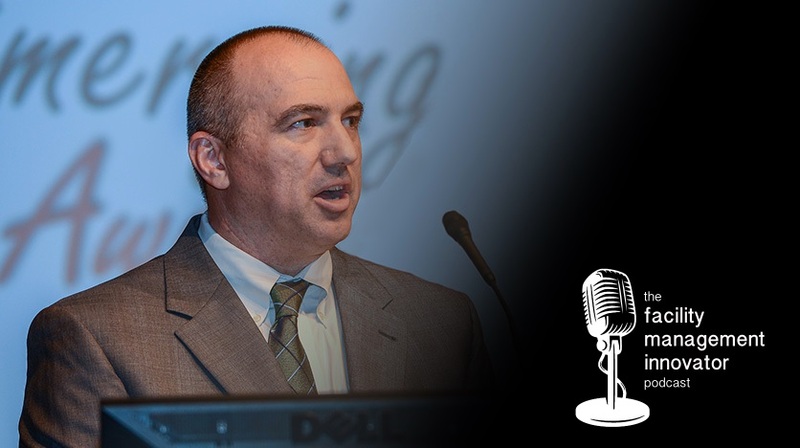 On this episode, Mike Petrusky talks with Steve Patterson, Director of Facilities at Northern Virginia Community College, about collaborating with FM colleagues and industry partners while building a human network at professional associations. Steve shares his views on industry trends, leveraging technology, and developing FM training programs to face the future. Mike gets excited about making this Hokie connection and talks more about his time in Blacksburg.